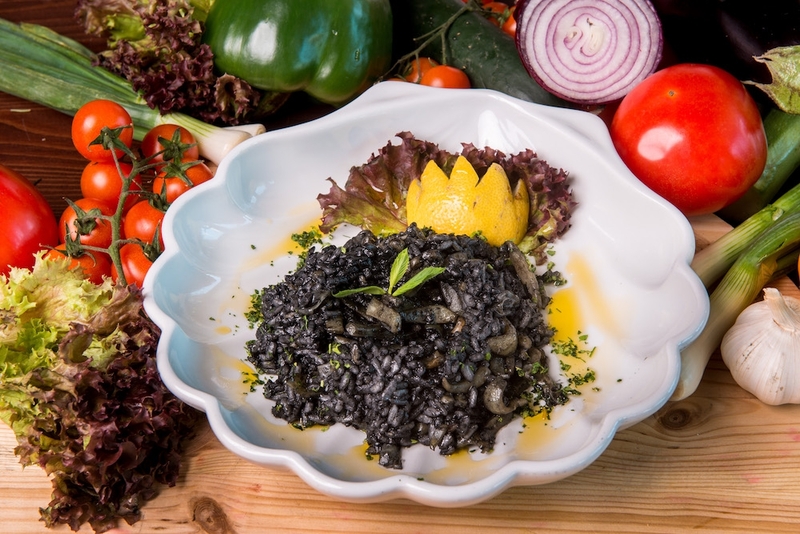 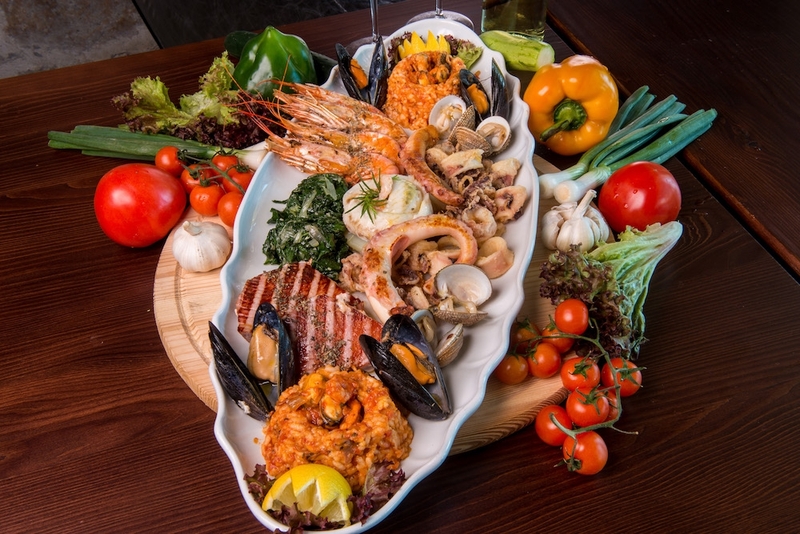 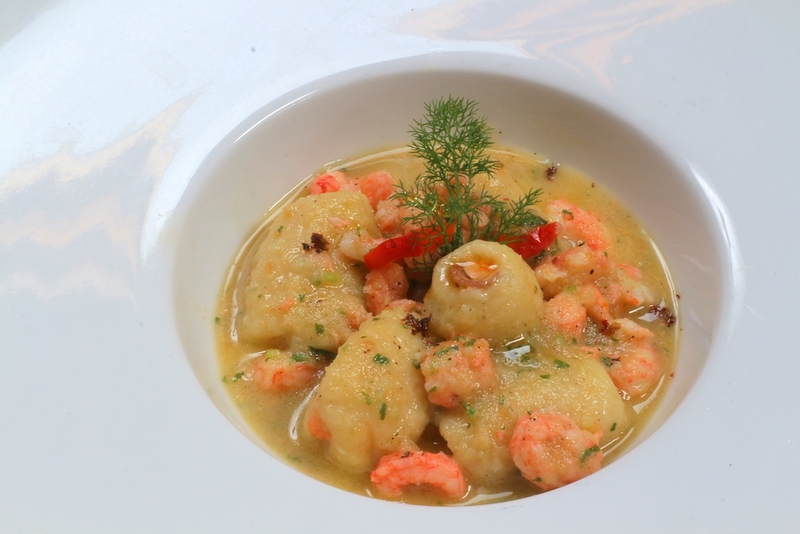 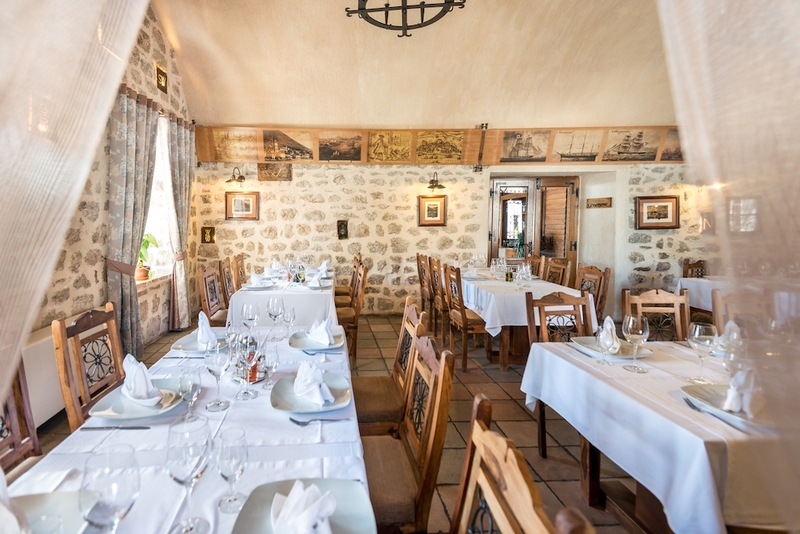 Feel the spirit of the old times, taste the delicious sea food and spend your vacation in the old historical building that will make a permanent mark in your travel memories! 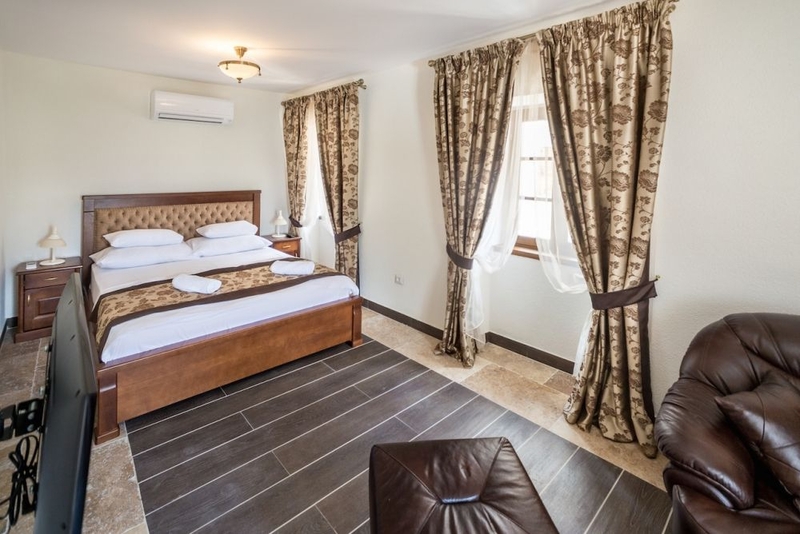 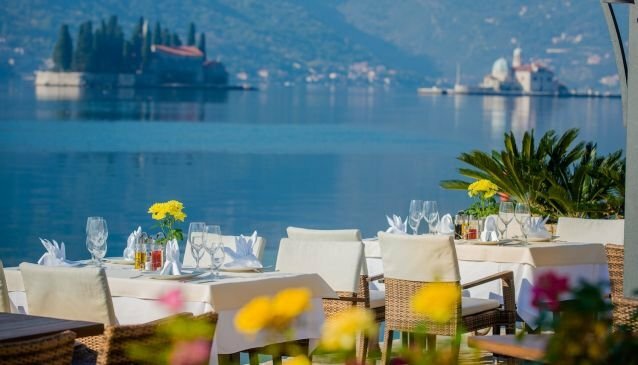 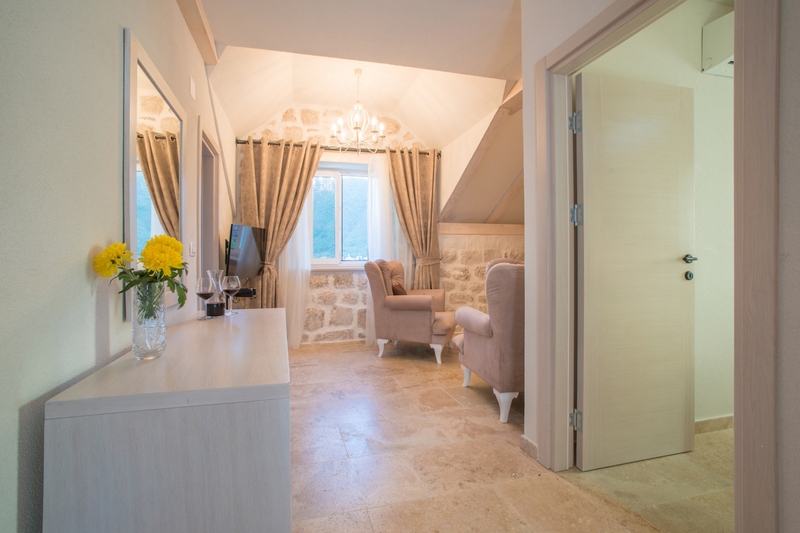 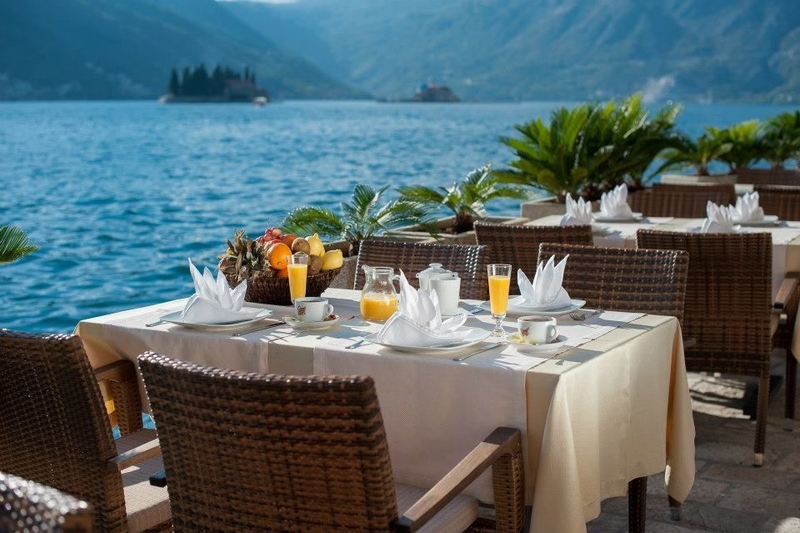 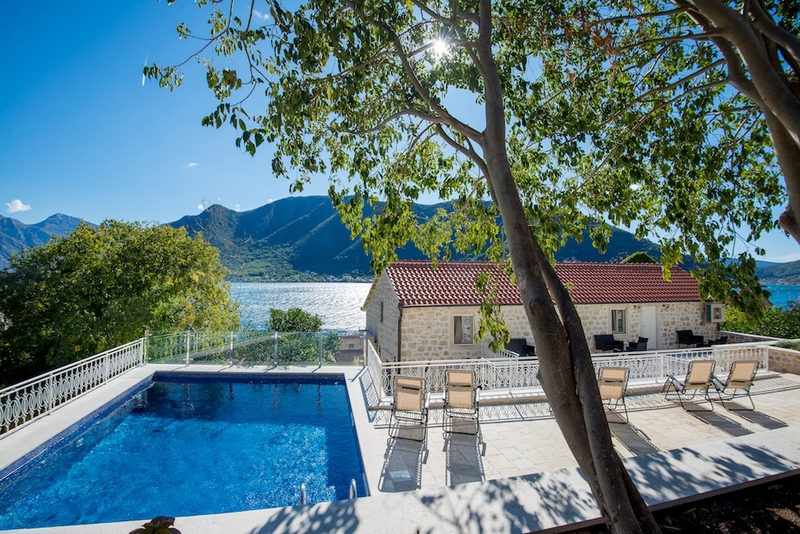 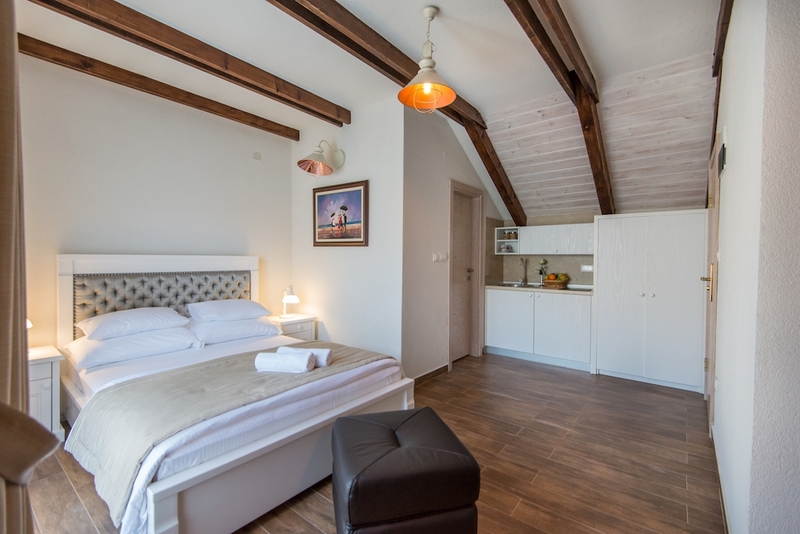 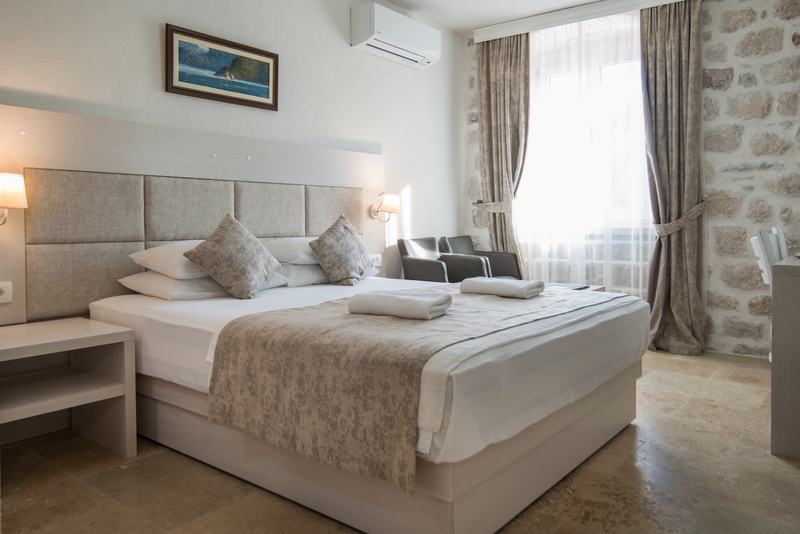 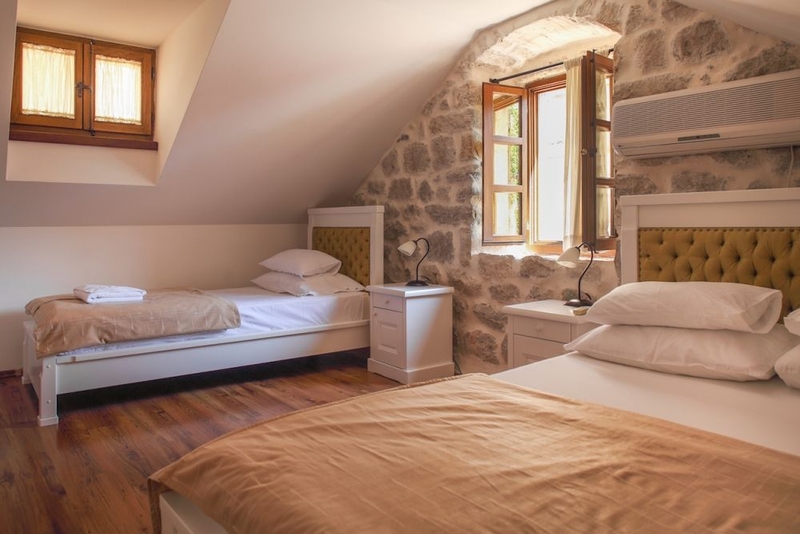 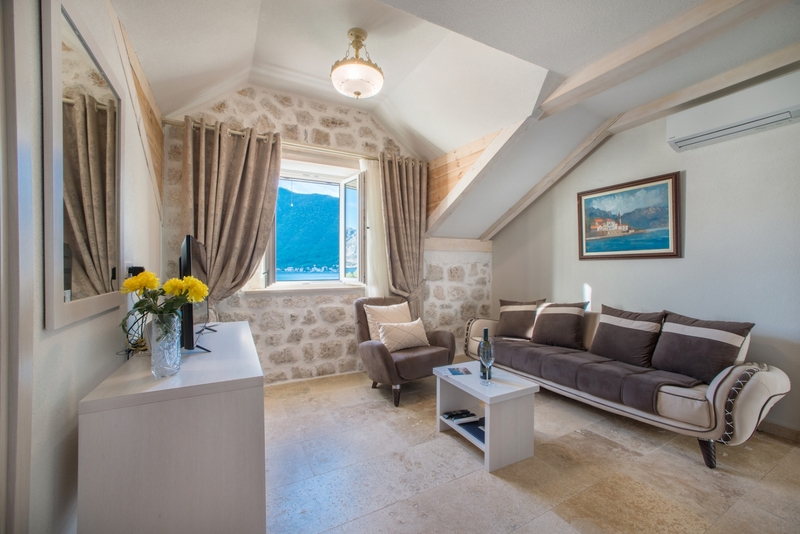 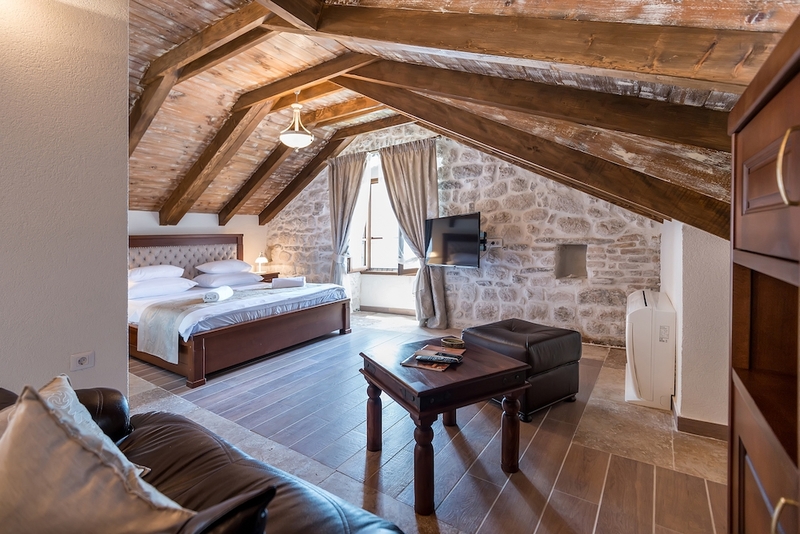 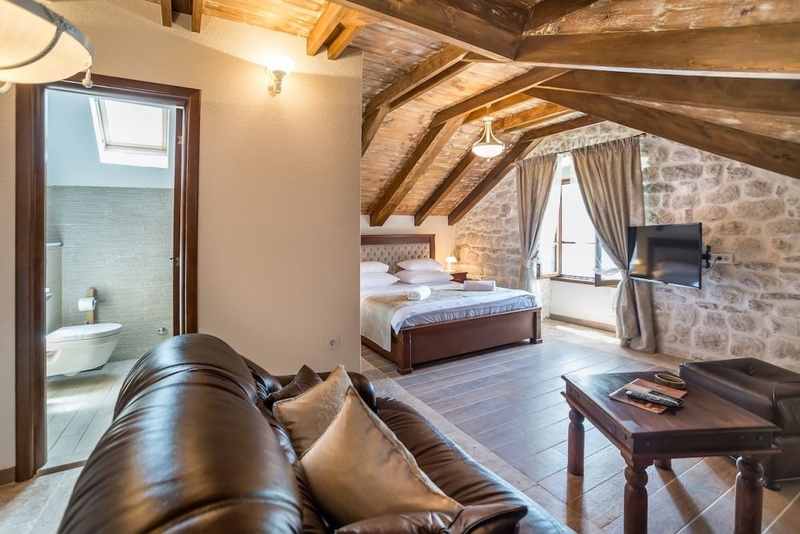 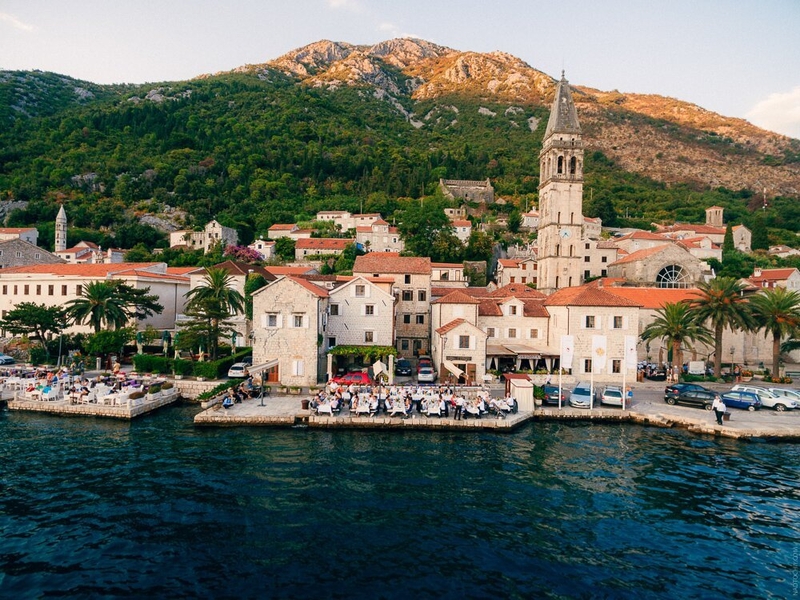 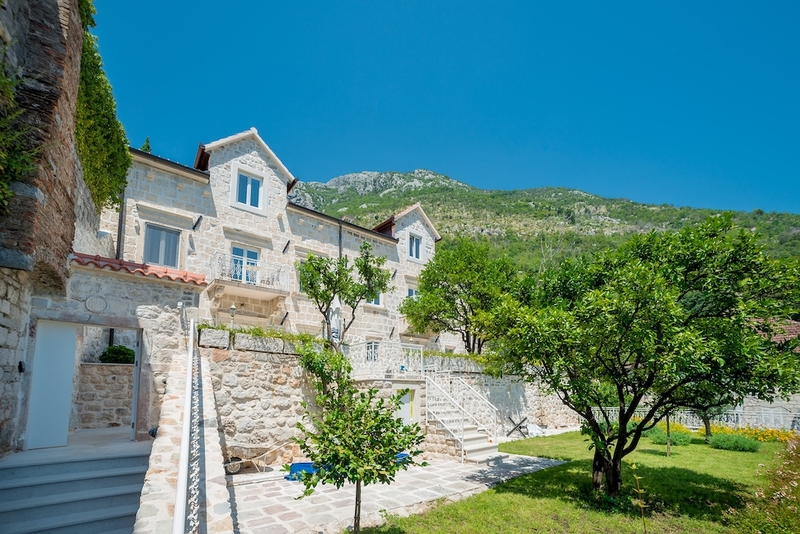 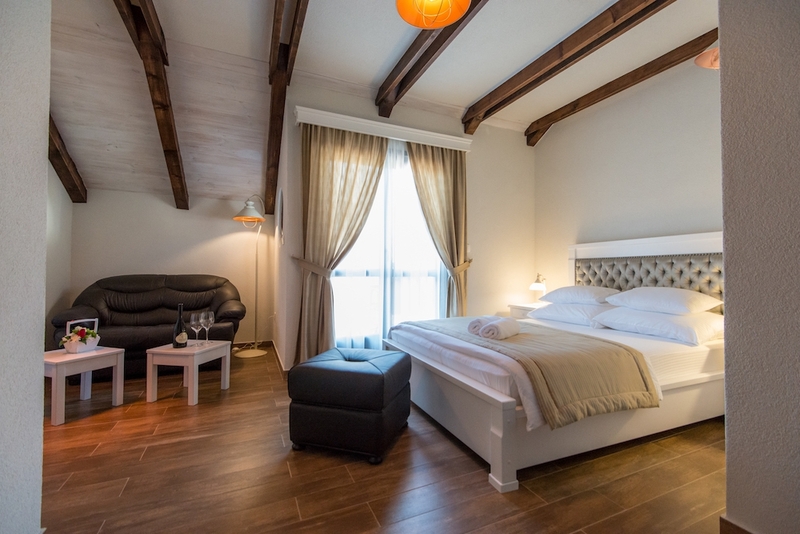 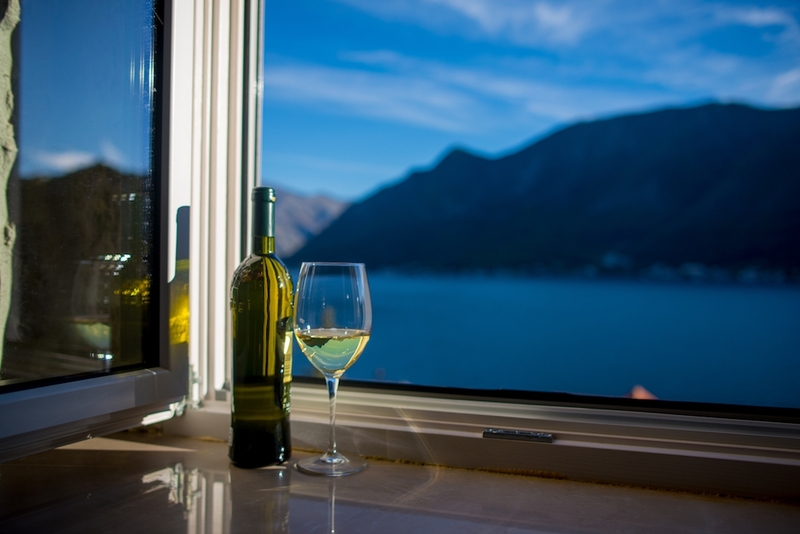 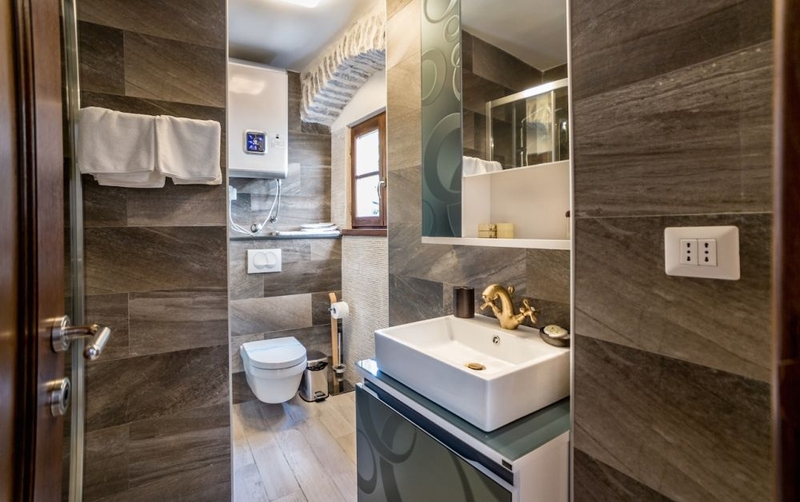 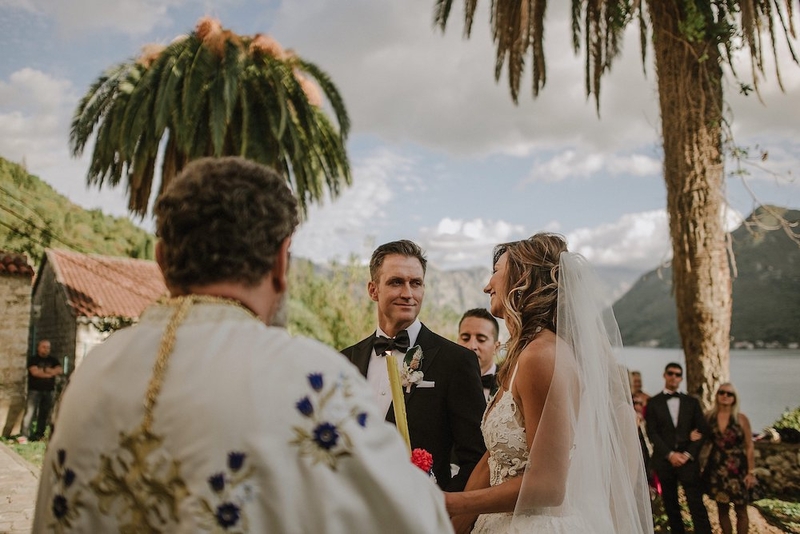 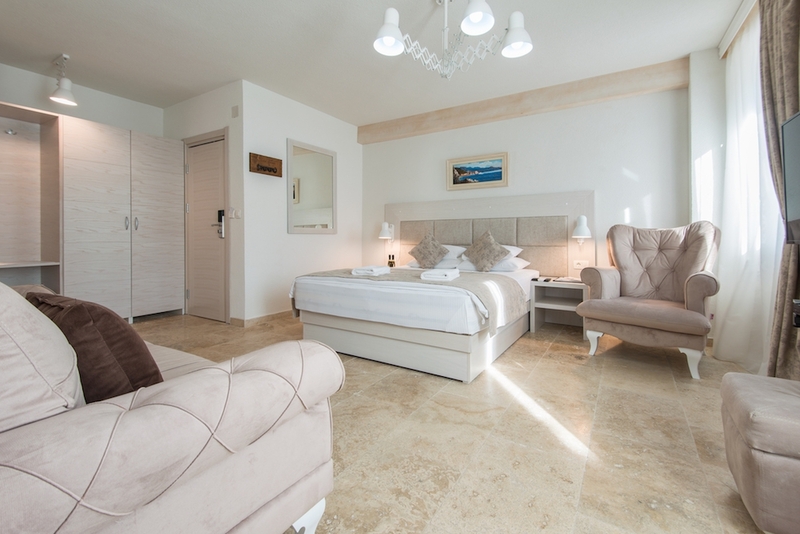 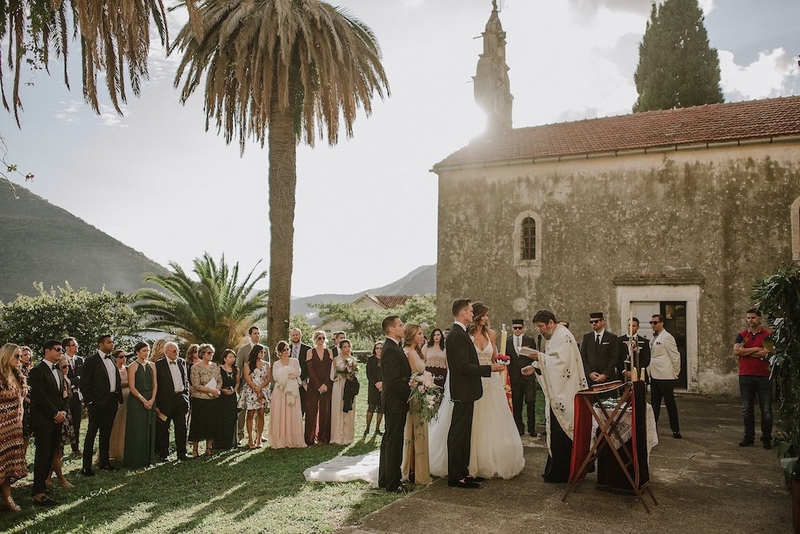 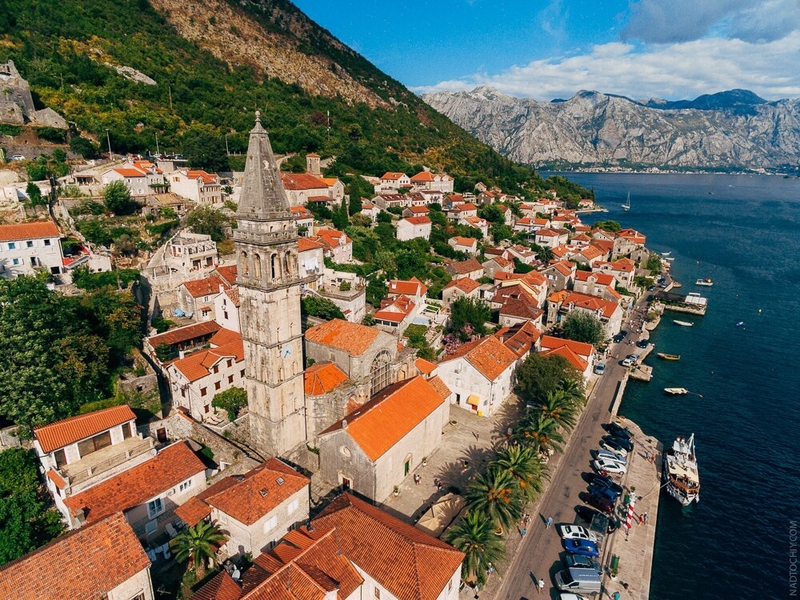 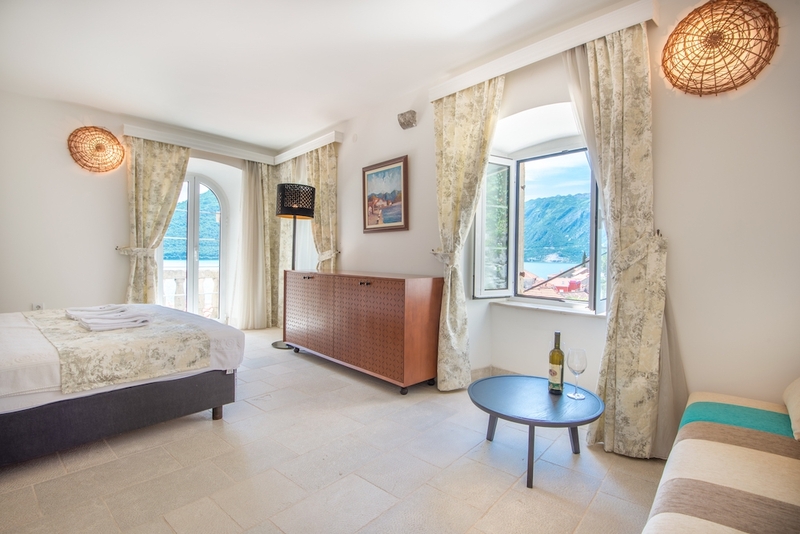 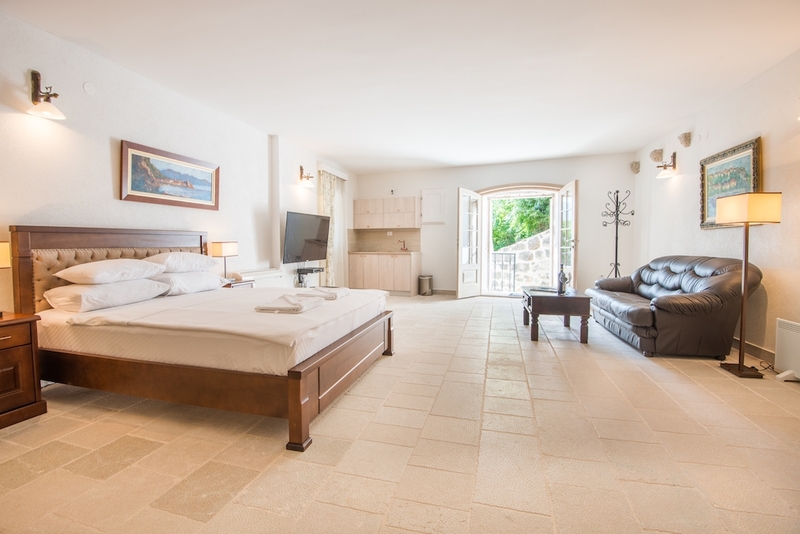 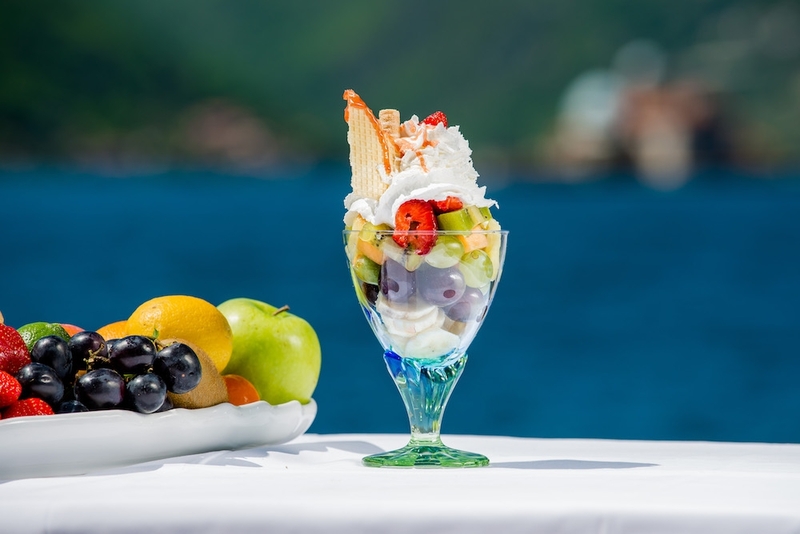 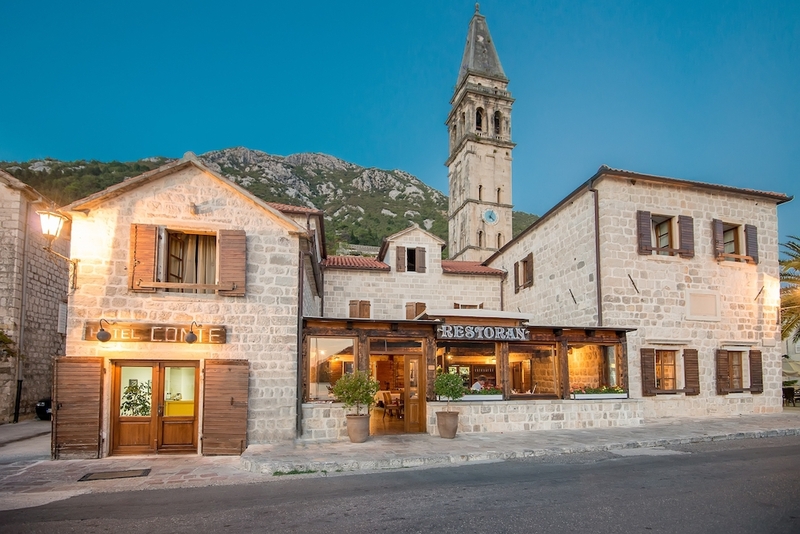 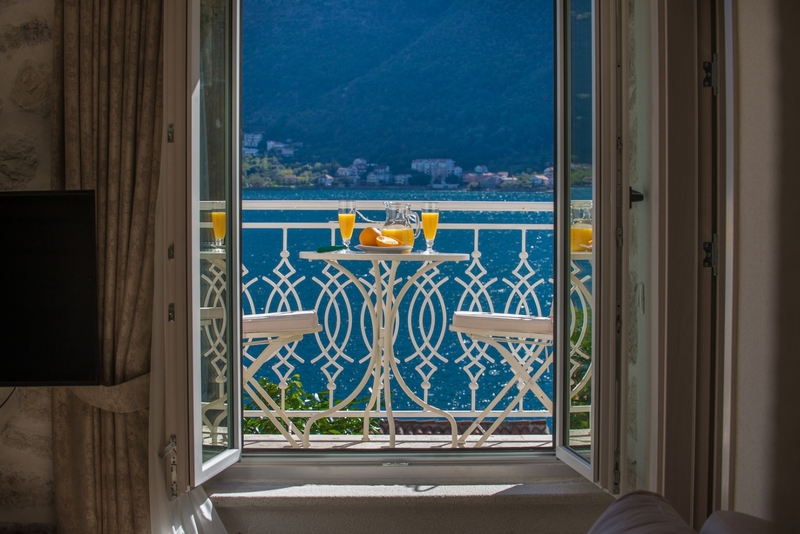 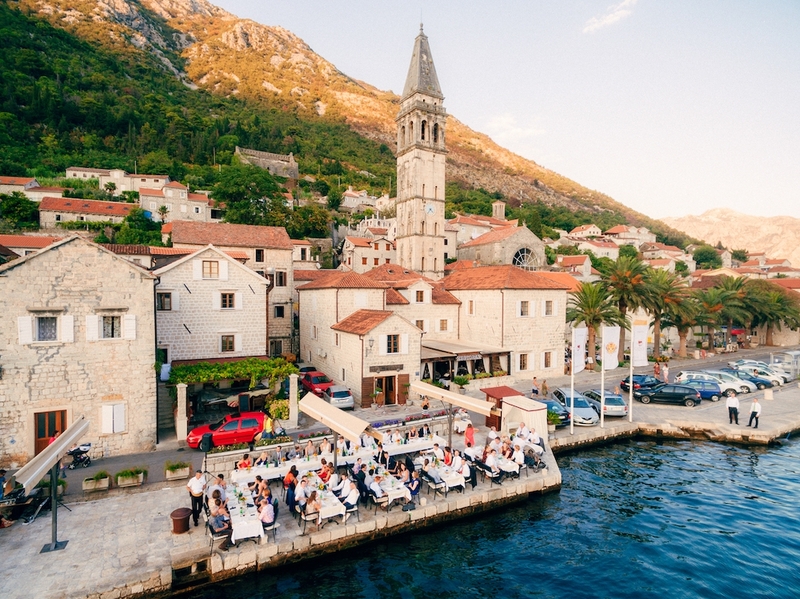 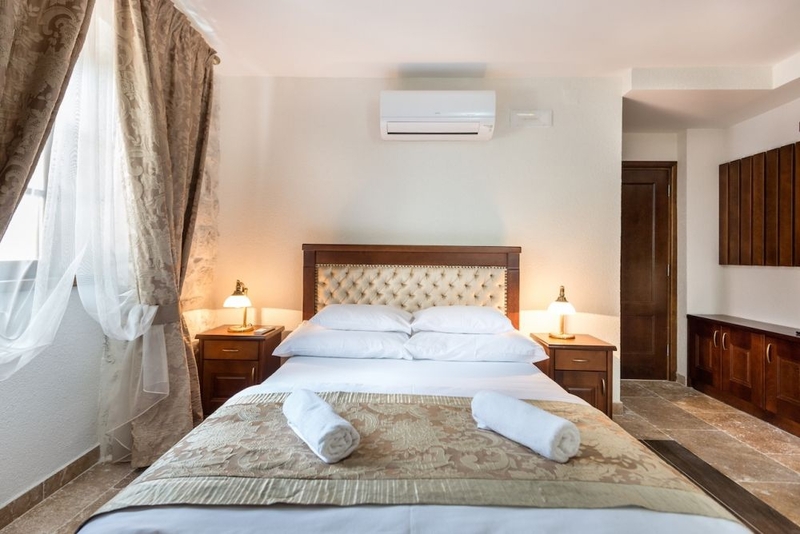 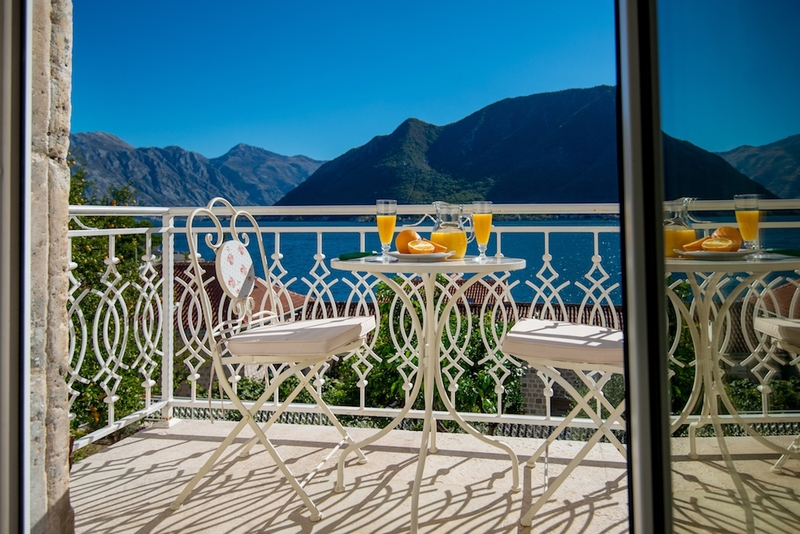 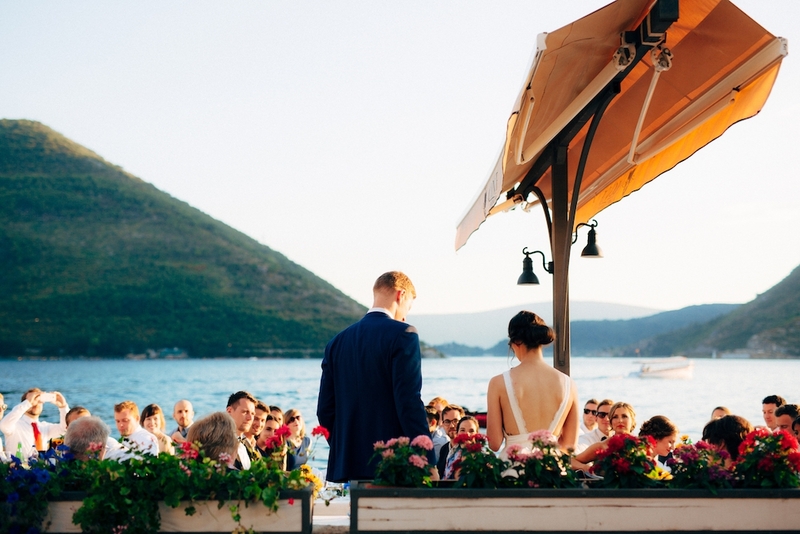 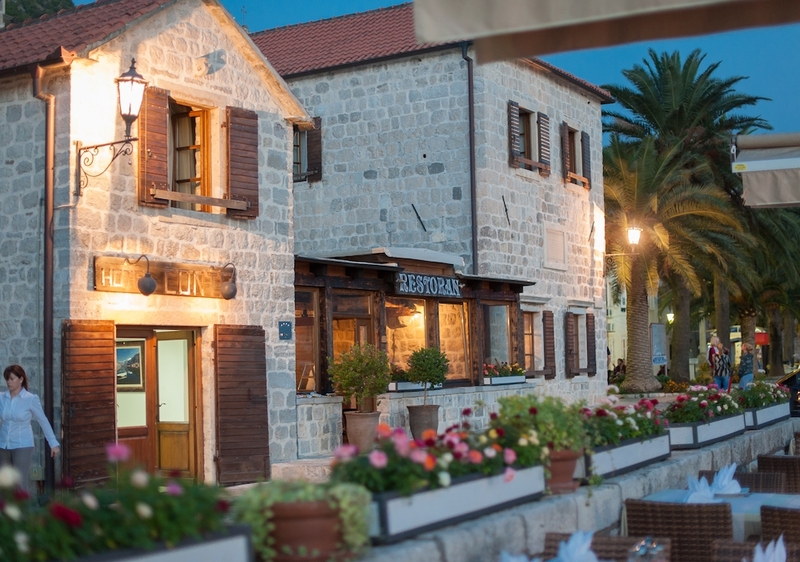 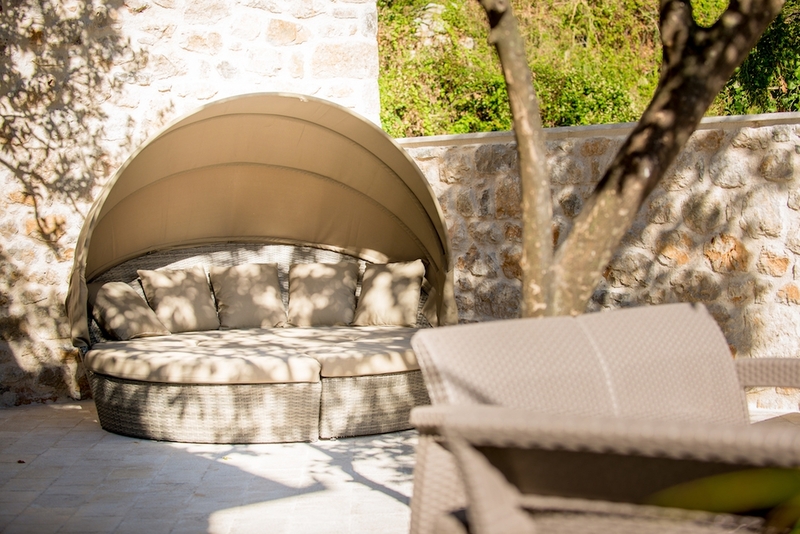 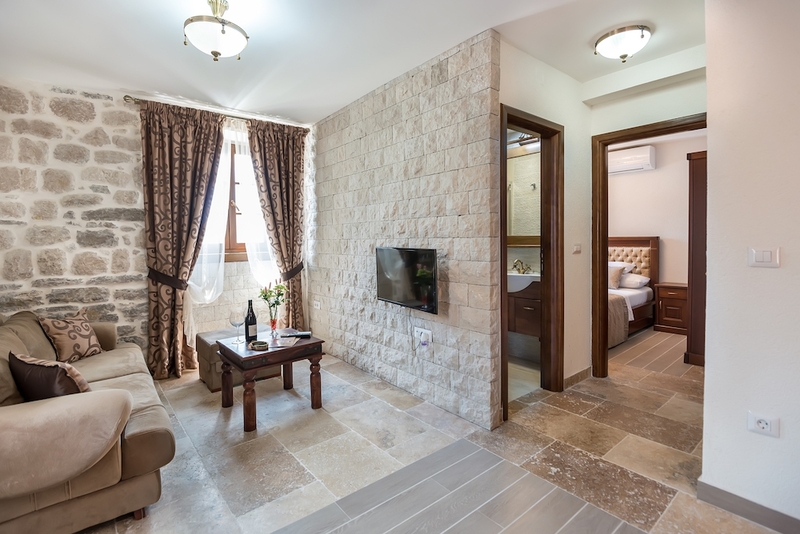 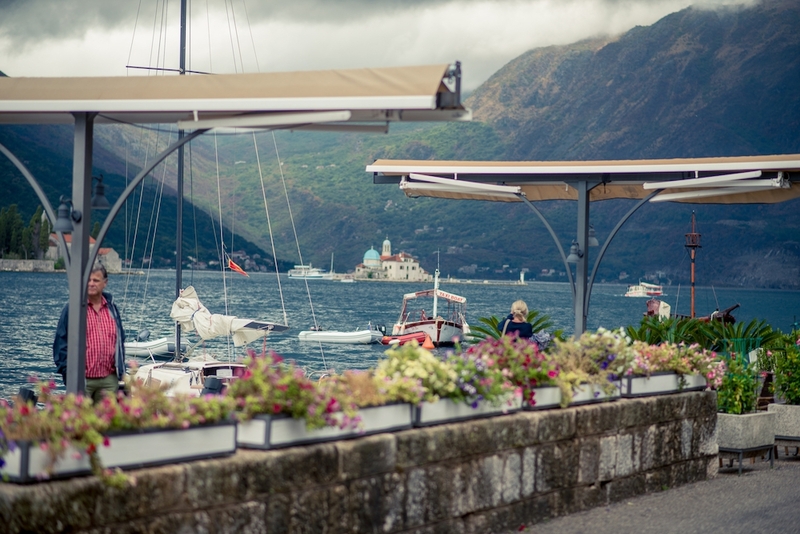 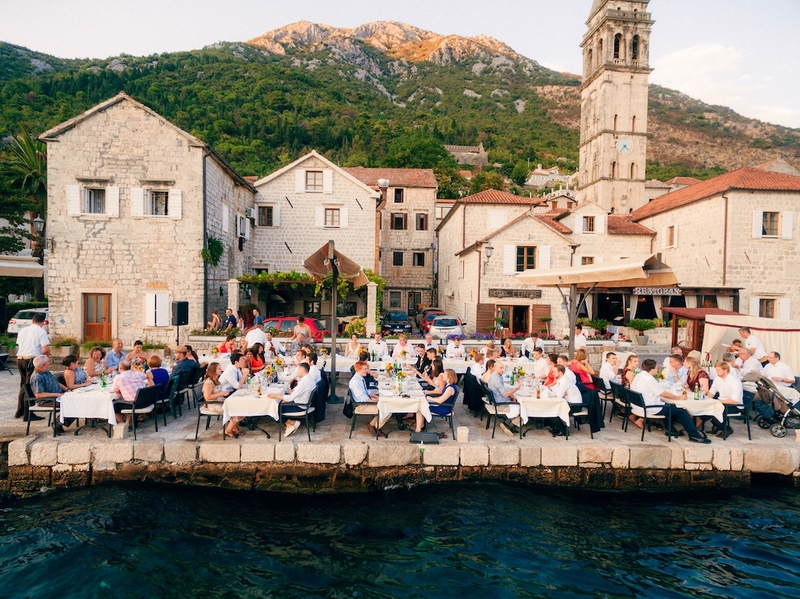 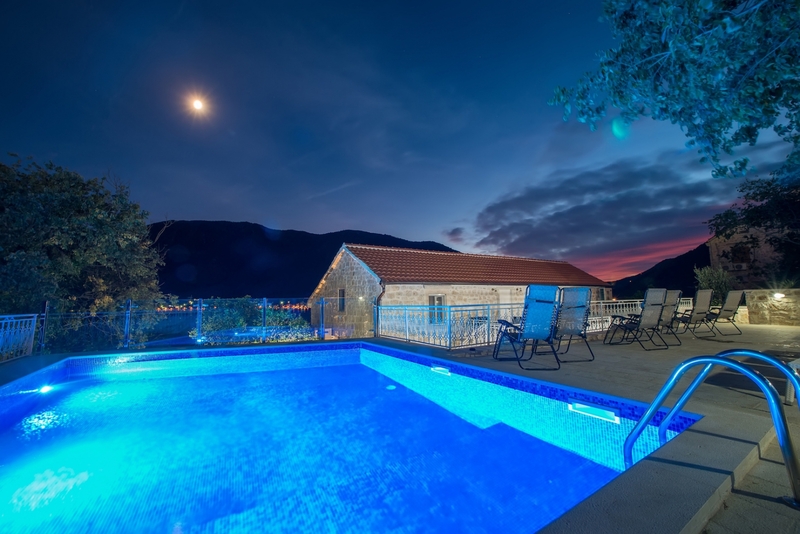 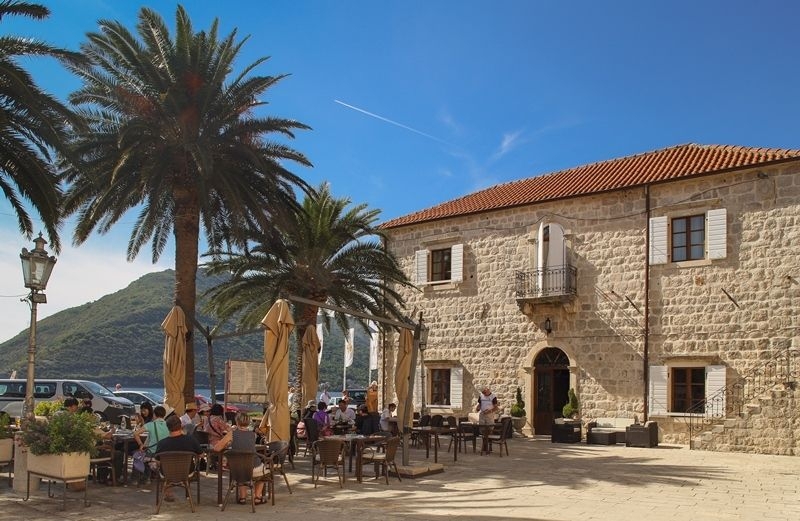 Set by the sea and right on the main square in Perast, Hotel Conte is situated in the former Home of Culture and is a protected heritage building. 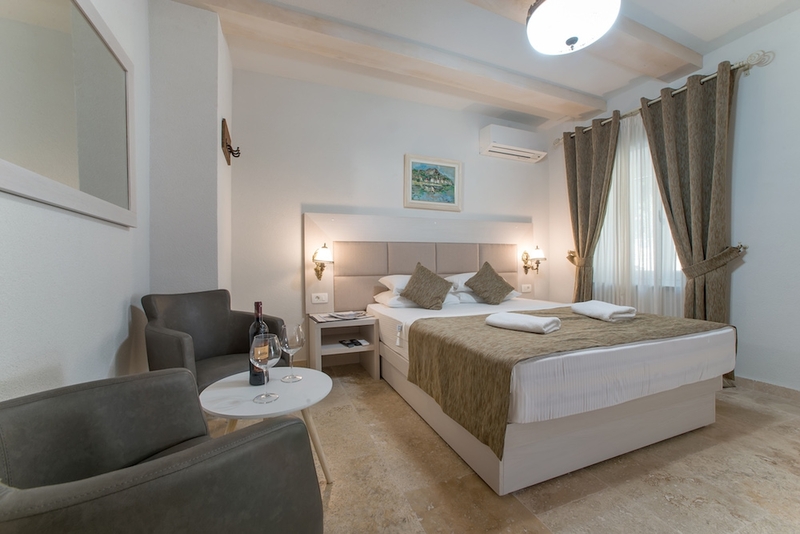 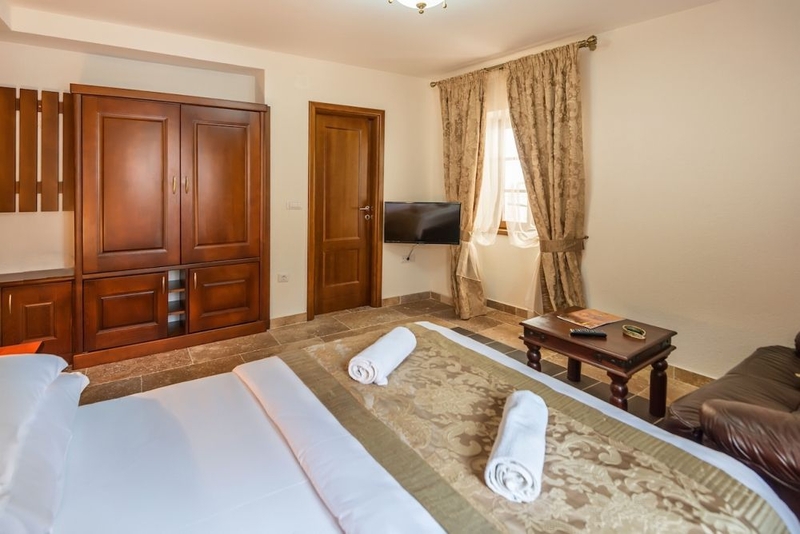 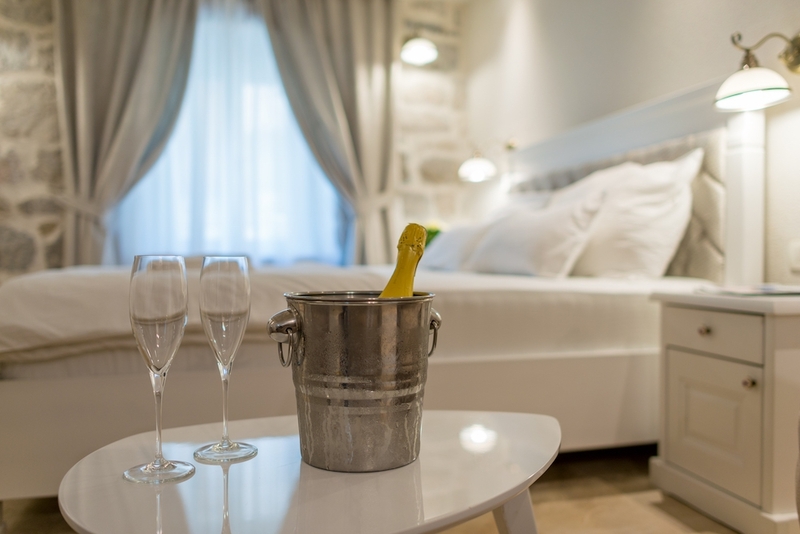 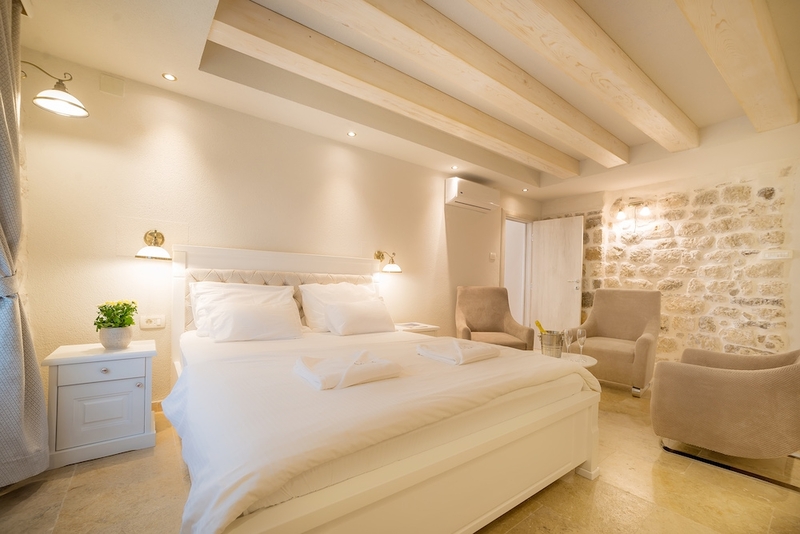 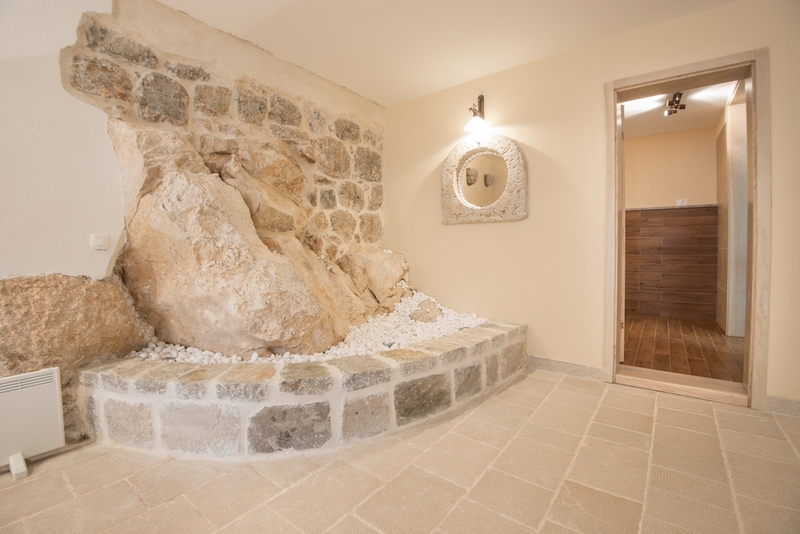 The Hotel features 34 elegantly decorated rooms and apartments located in four 18th-century heritage buildings. 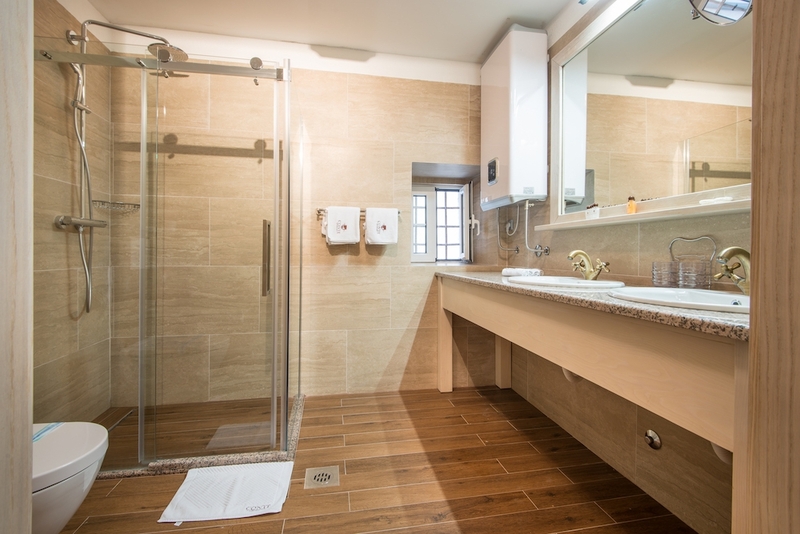 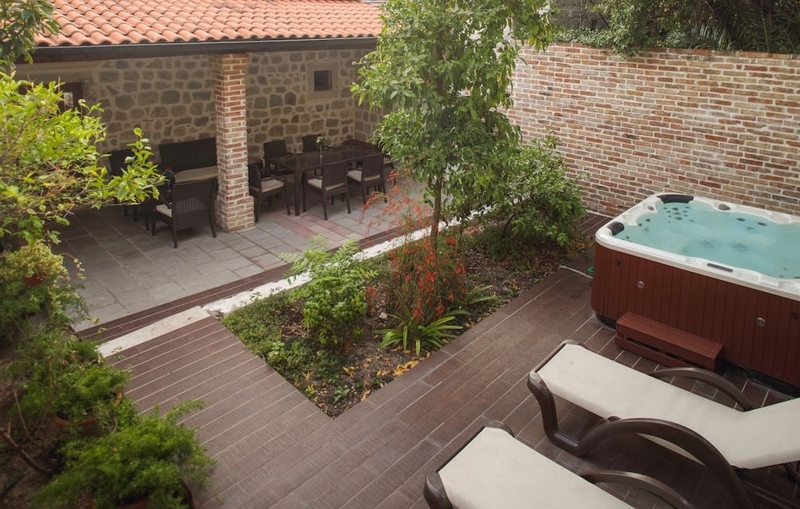 Some apartments have private courtyards, separate entrances, outdoor Jacuzzi, and a swimming pool. 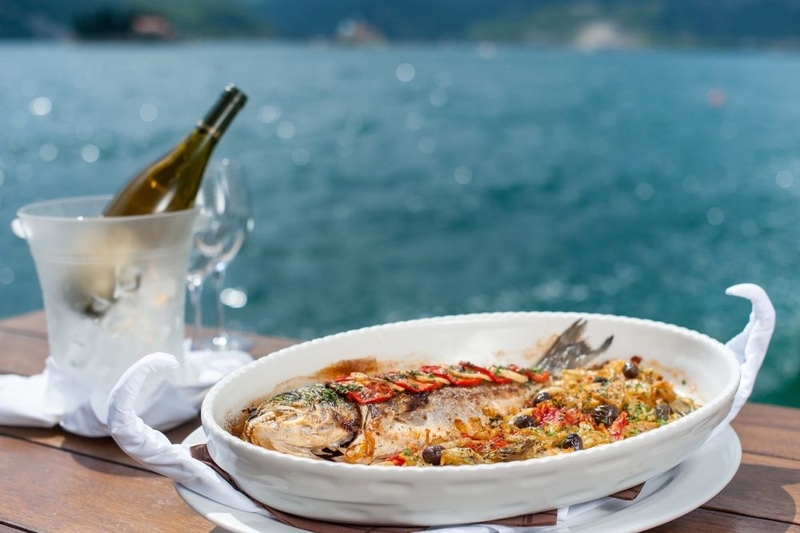 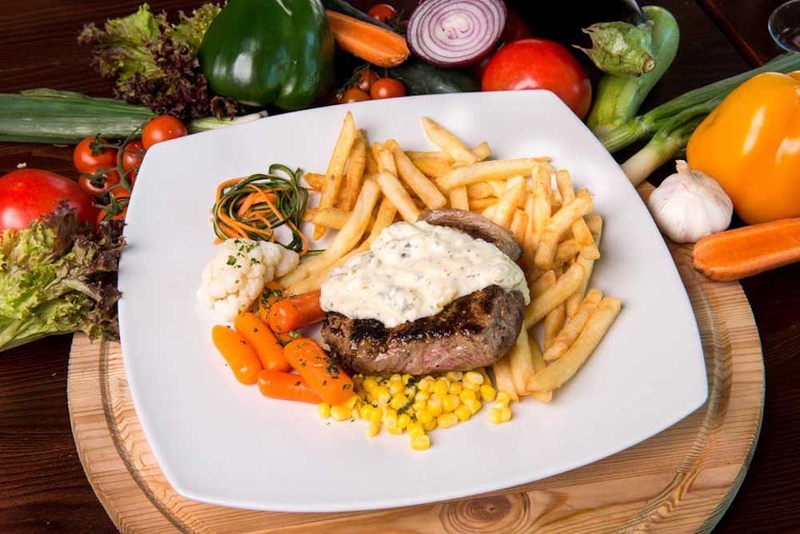 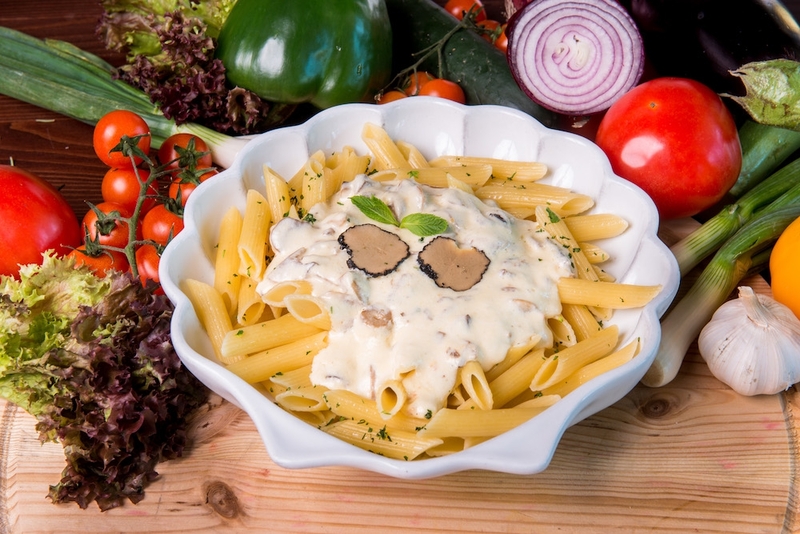 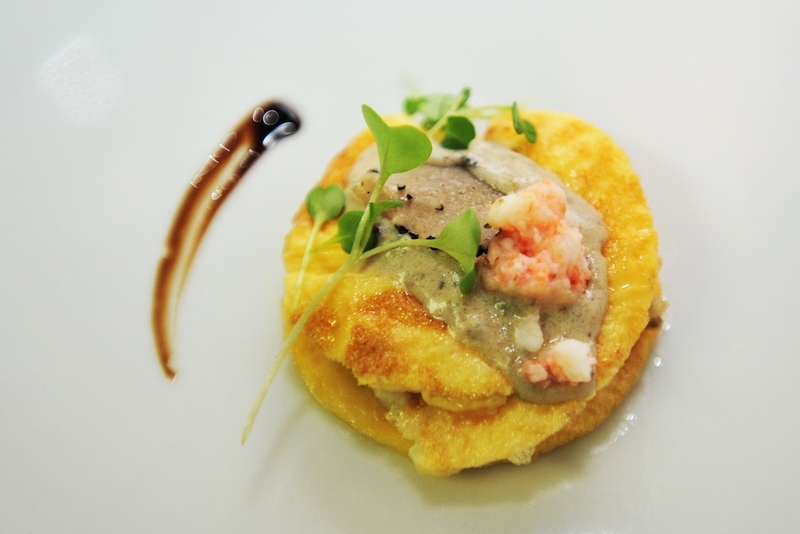 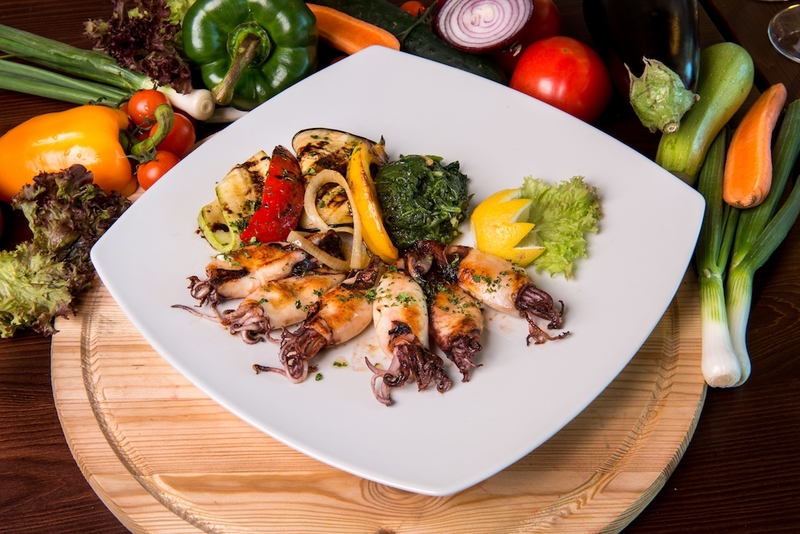 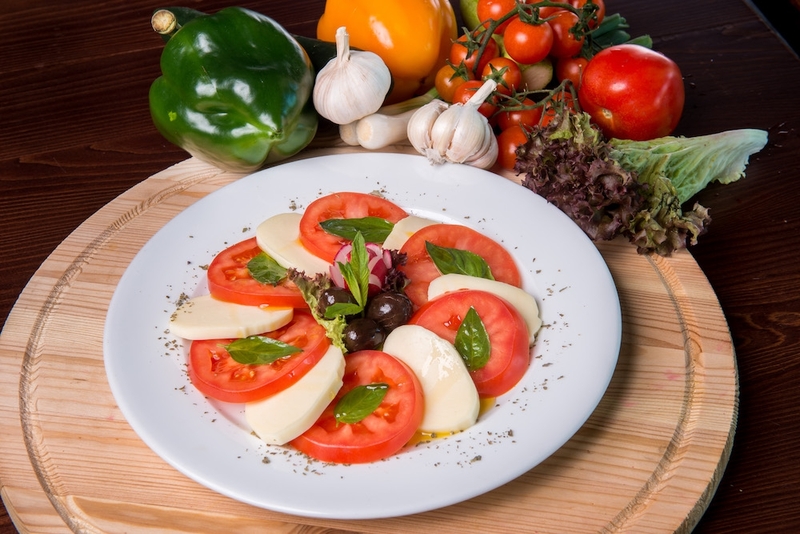 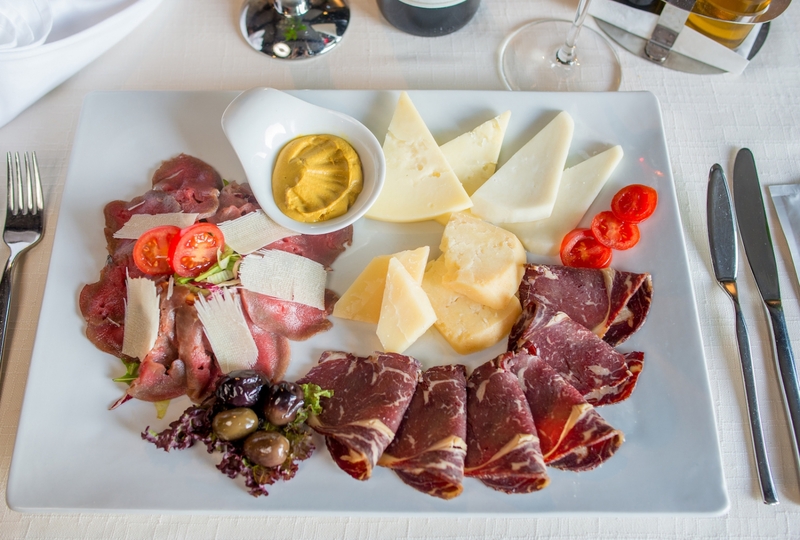 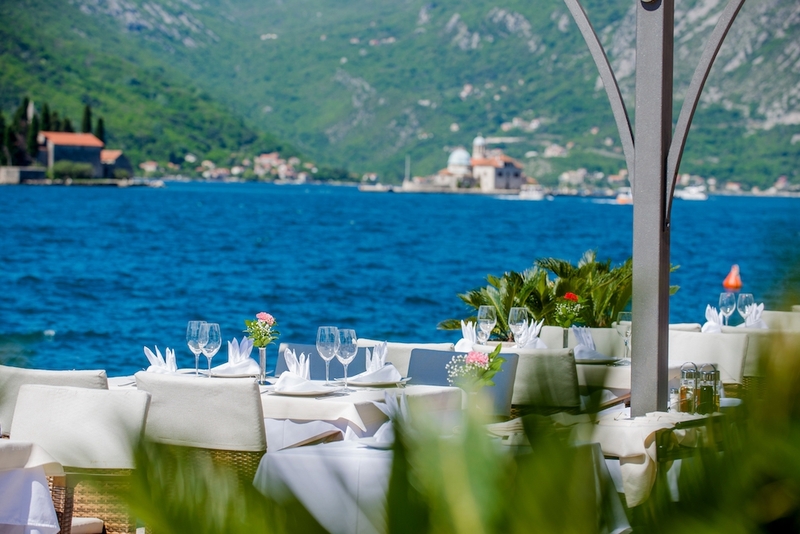 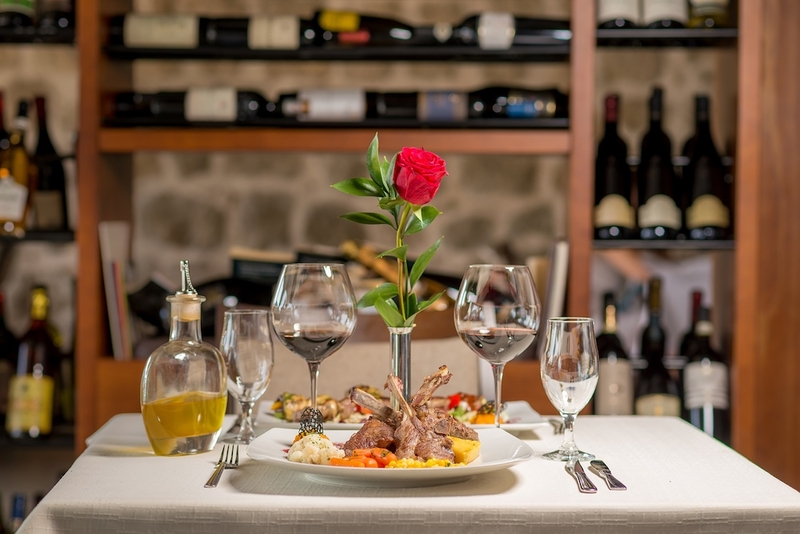 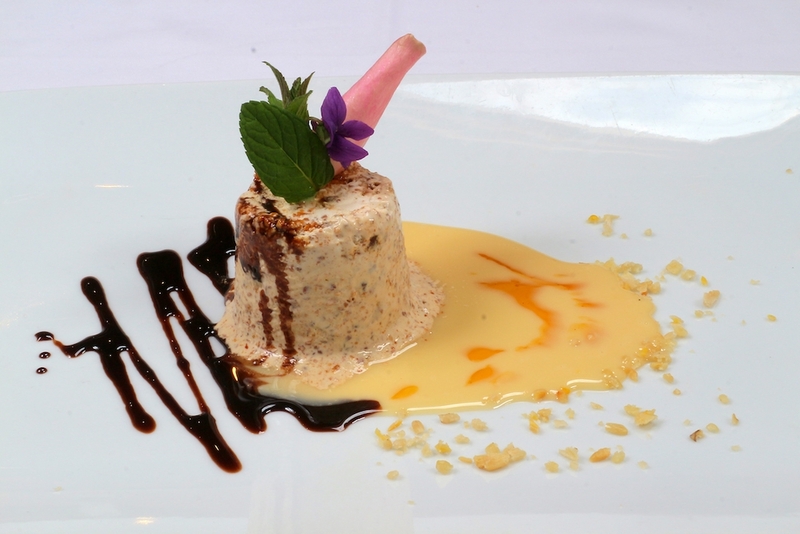 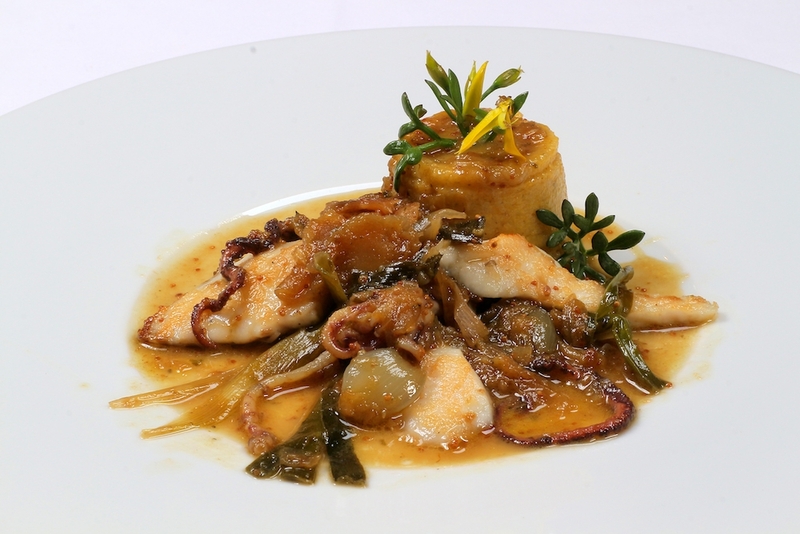 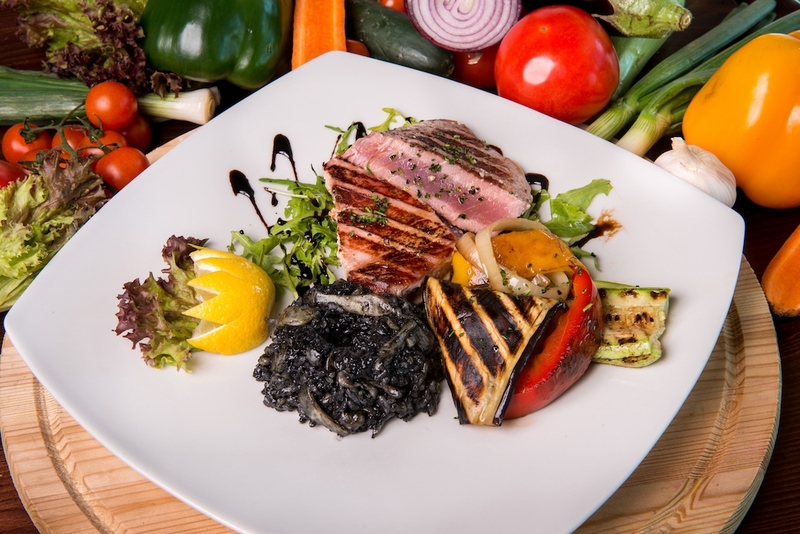 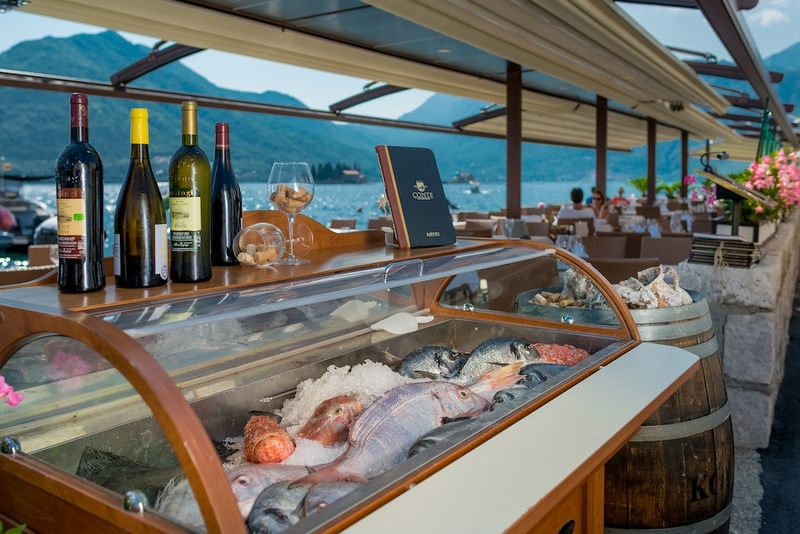 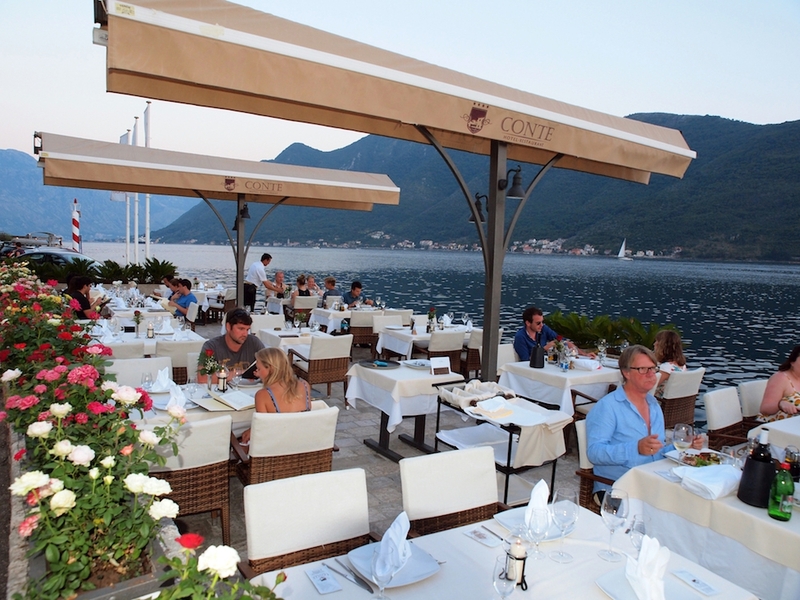 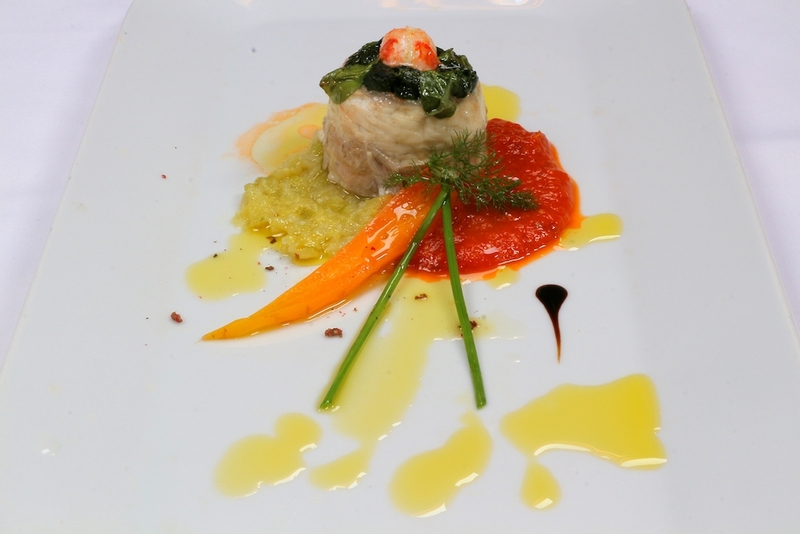 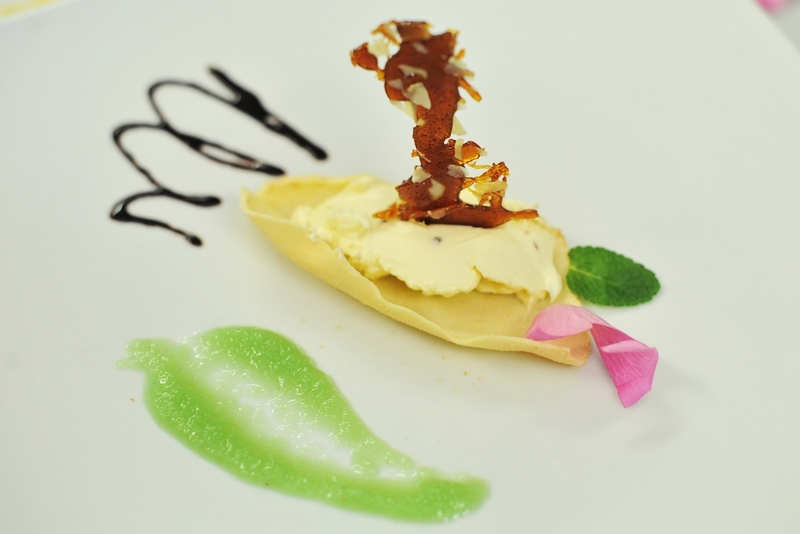 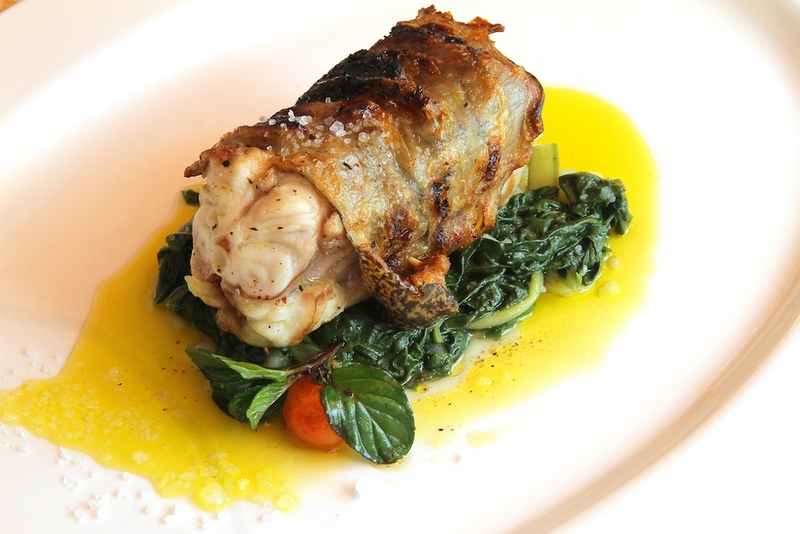 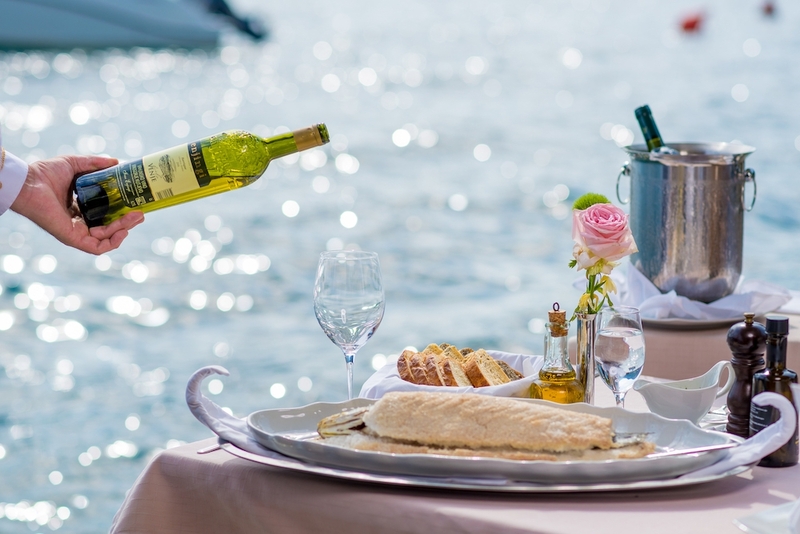 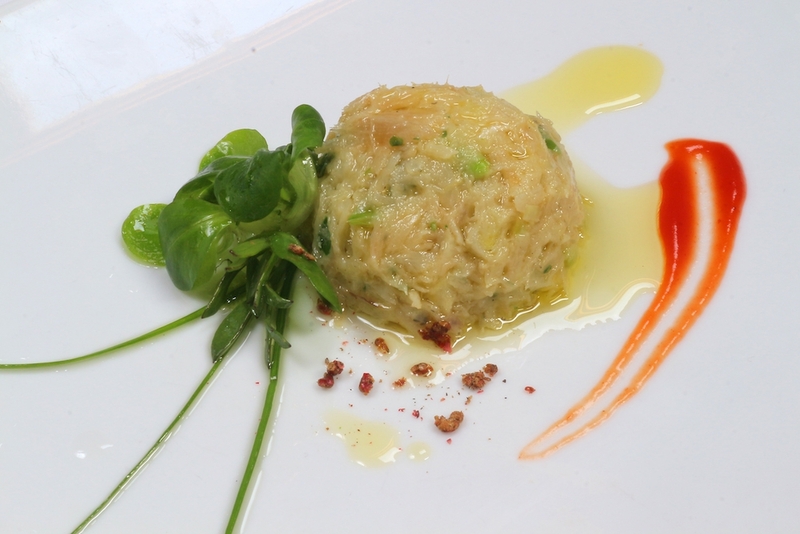 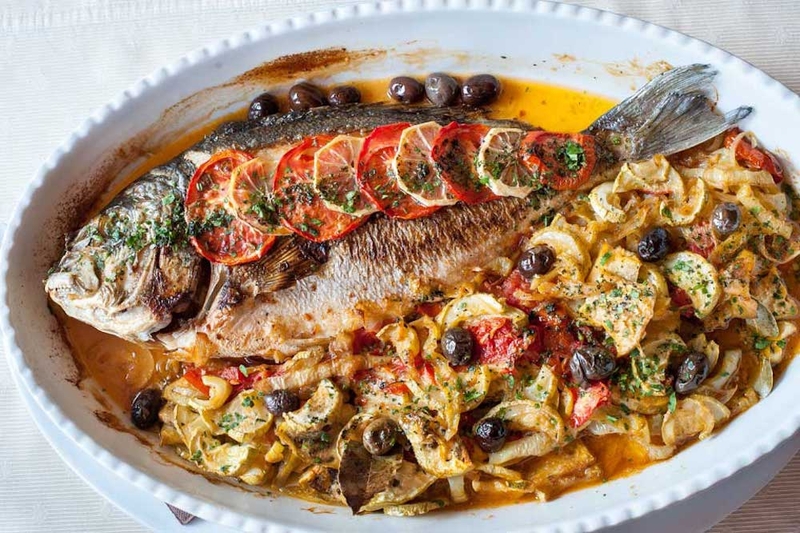 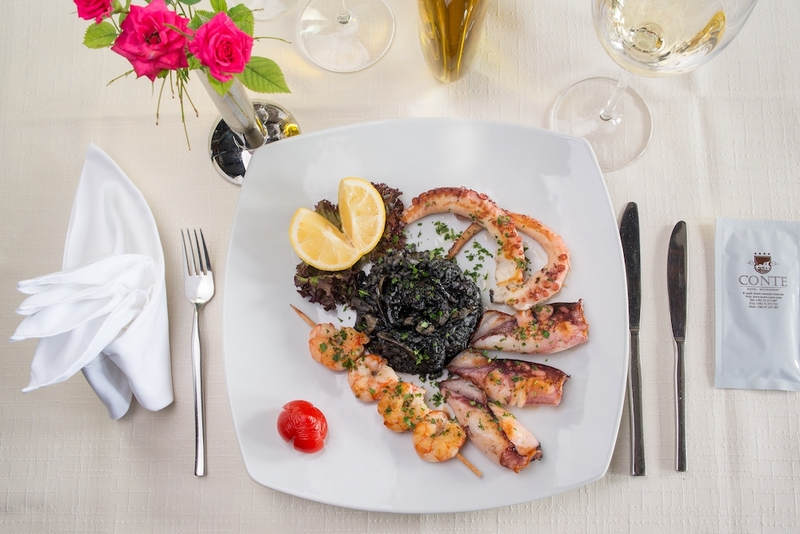 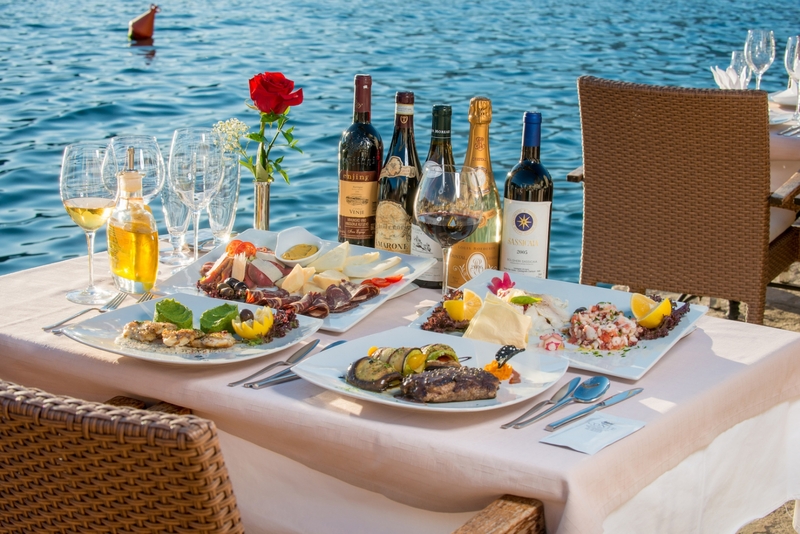 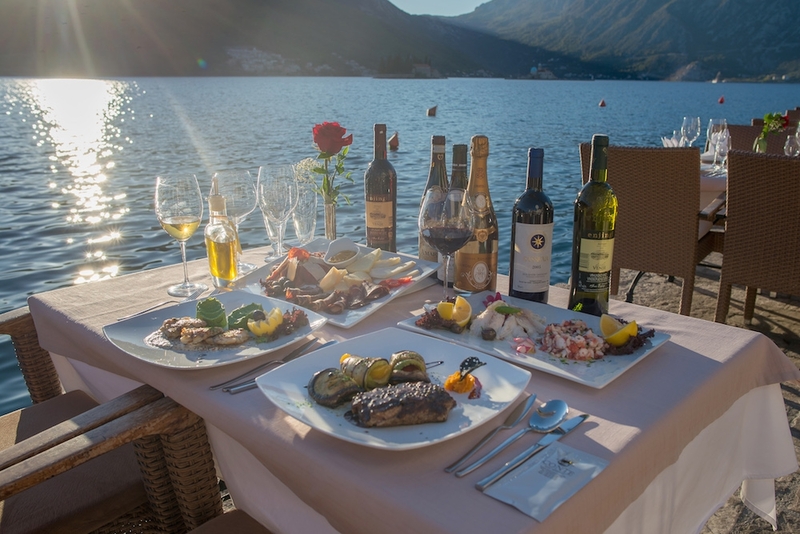 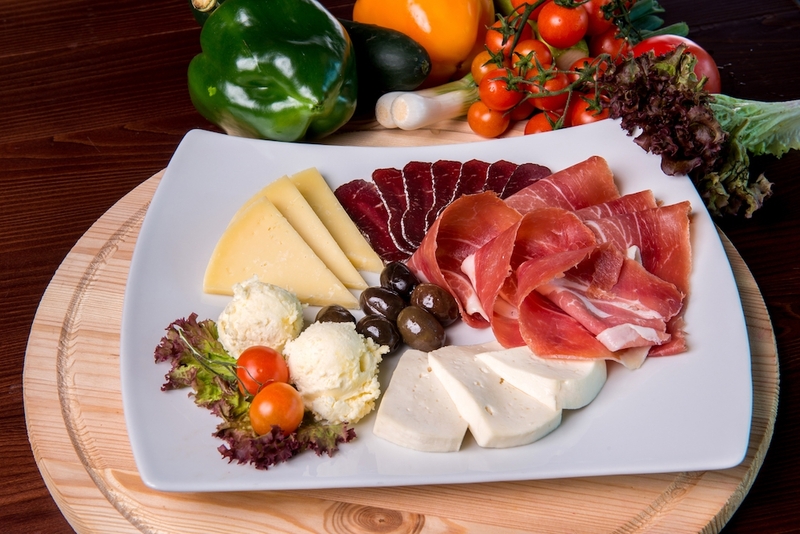 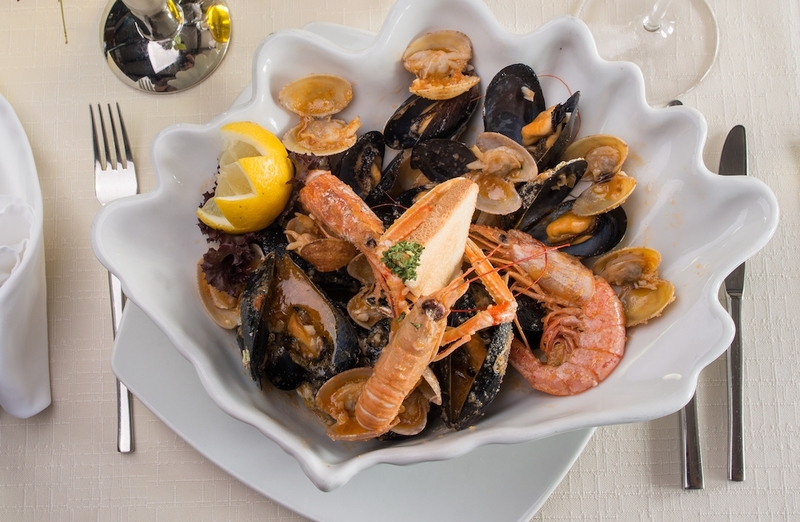 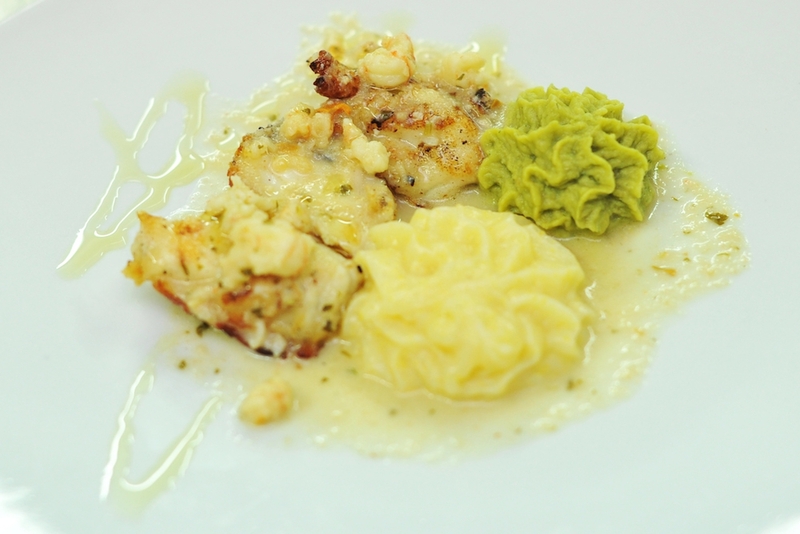 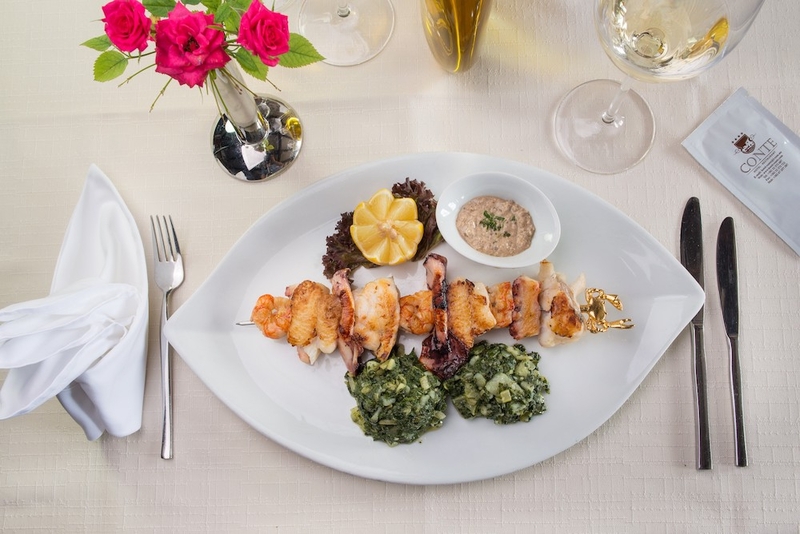 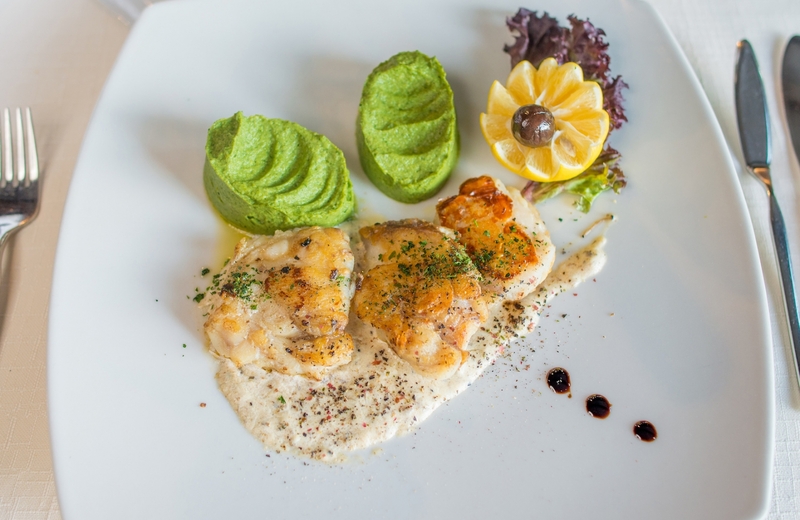 The restaurant and wine bar Conte is located on the waterfront, on the main town square and is specialised in fine traditional cuisine prepared with local ingredients. 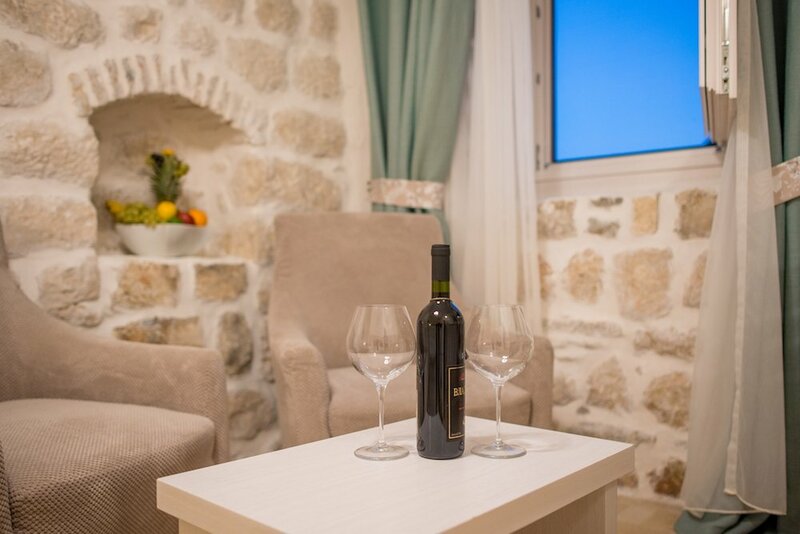 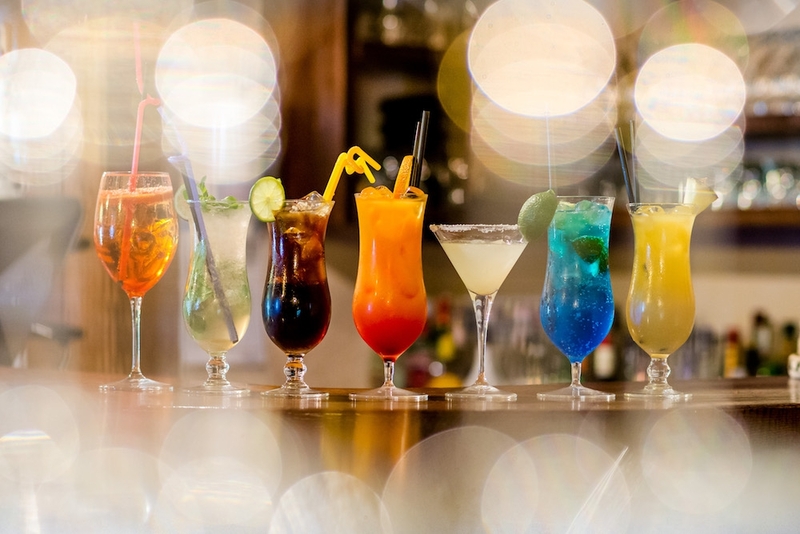 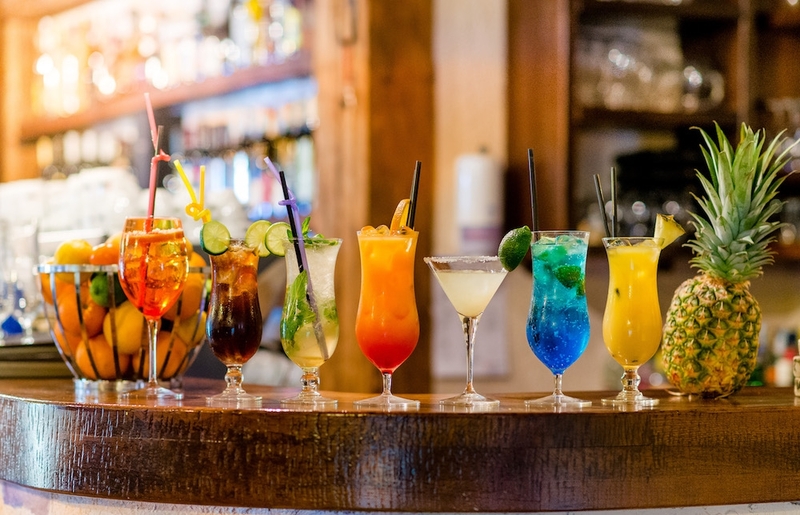 The Wine list contains over 100 carefully selected local wines, as well as wines from the small wineries from the region and all over the world. 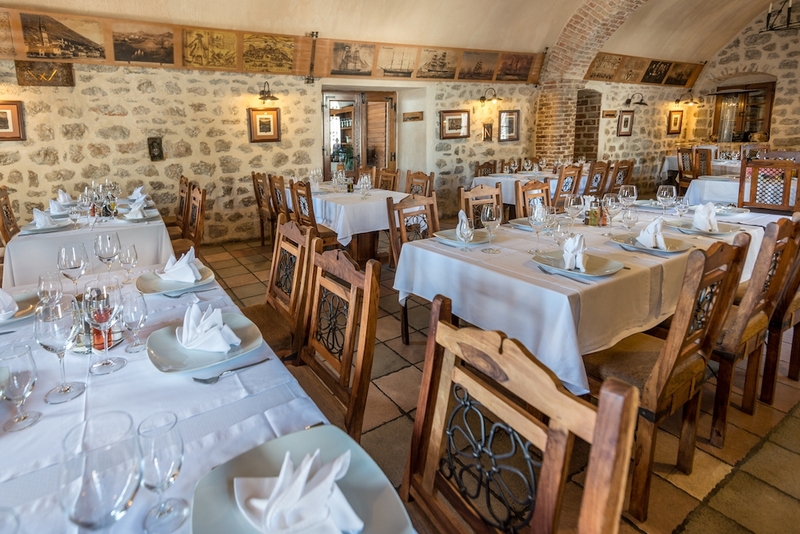 This place offers 12 wines per glass (sparkling, white, rose, red, desert) at all times. 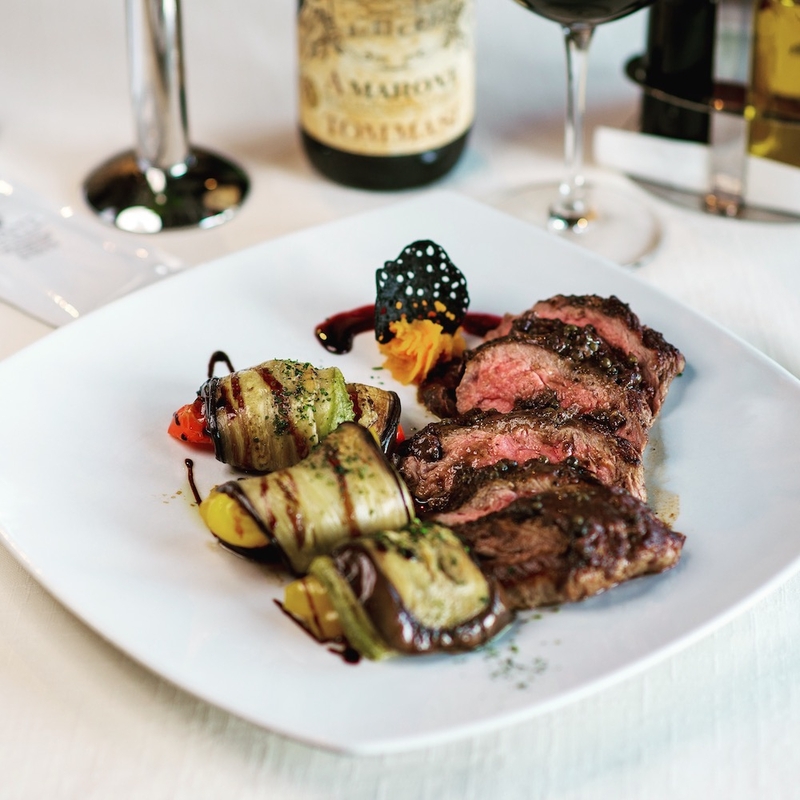 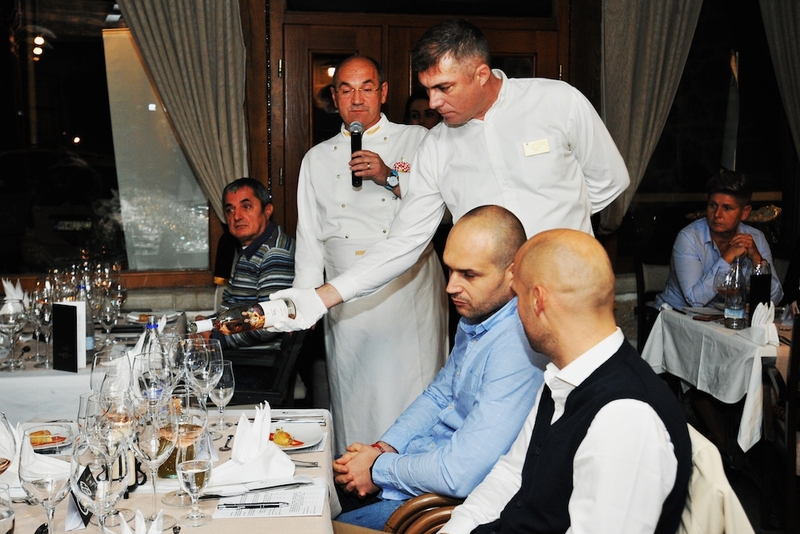 The waiters will be pleased to present the wine list and help with the wine and meals pairing. 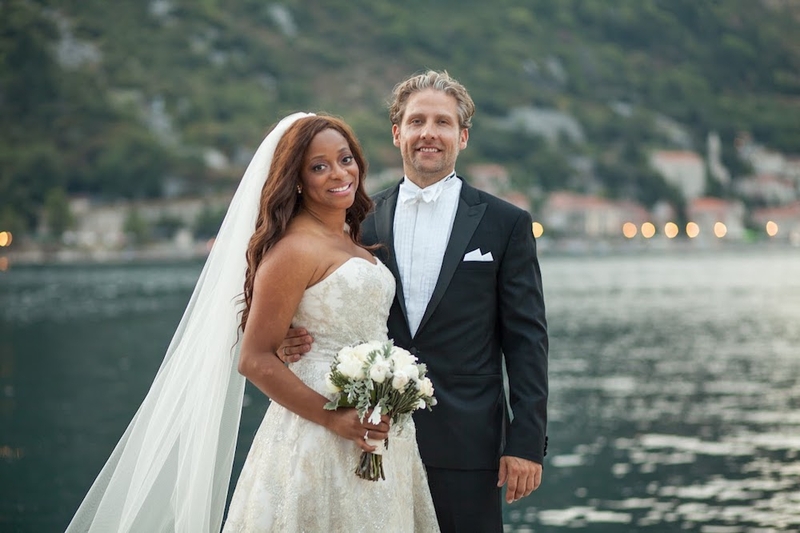 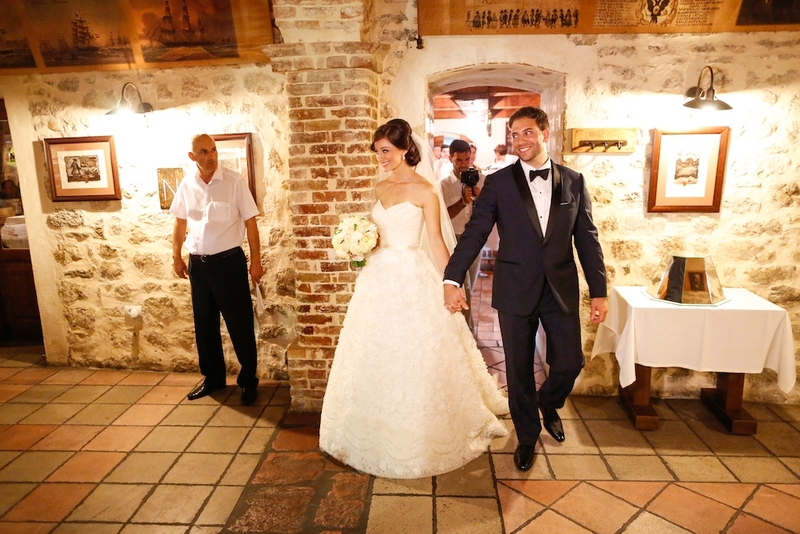 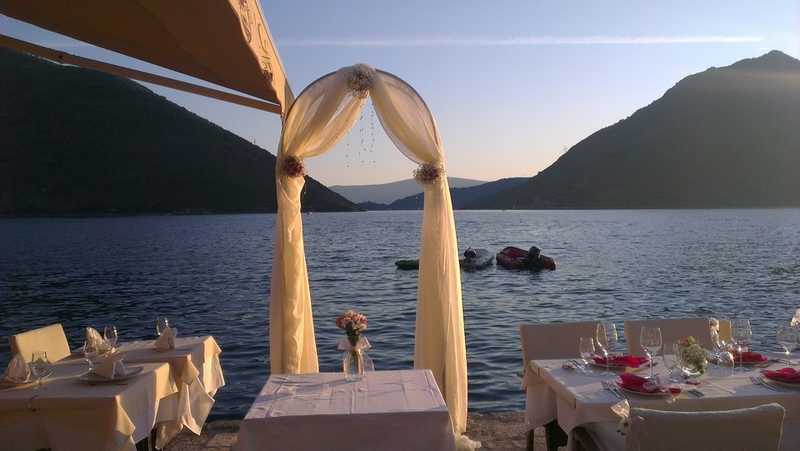 A combination of magical natural beauty and lavish baroque buildings are very attractive for romantic weddings. 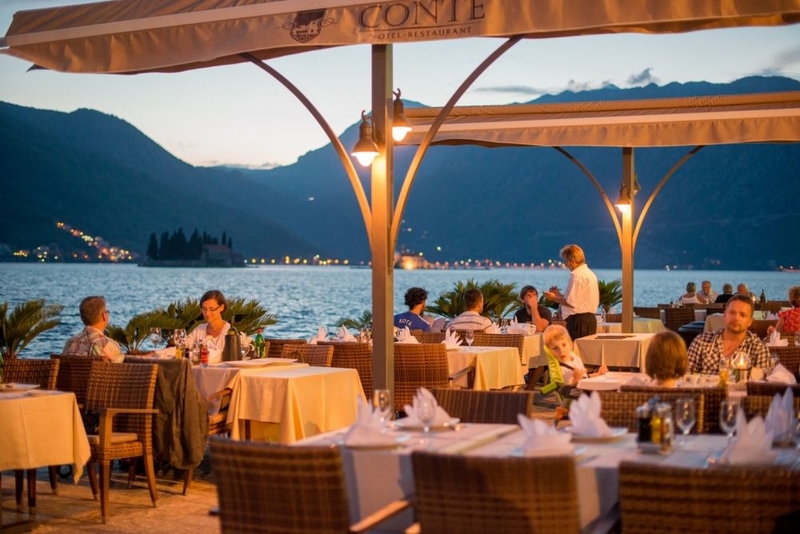 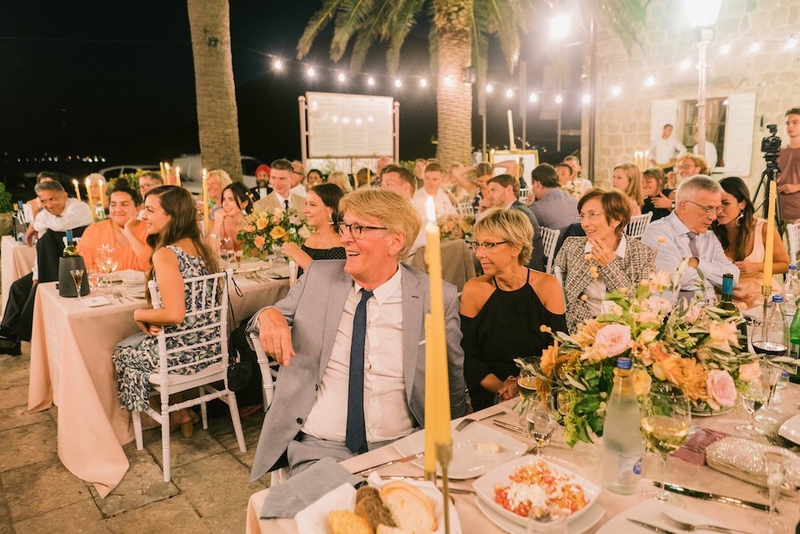 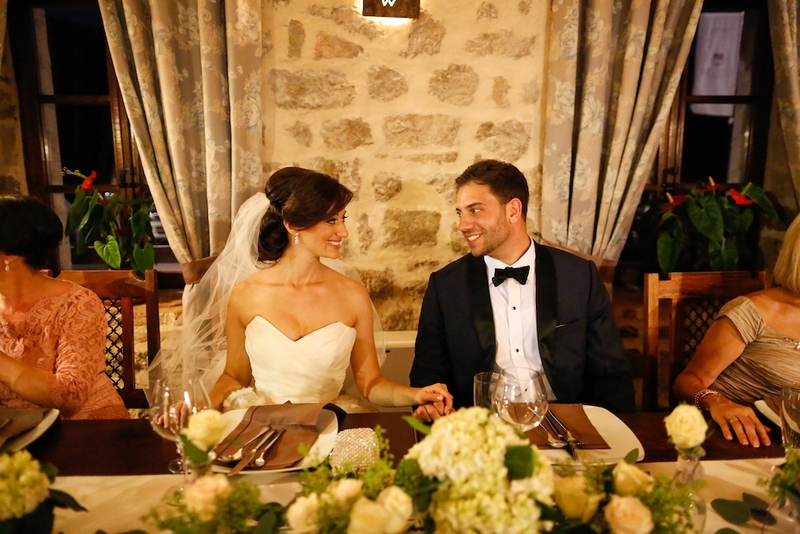 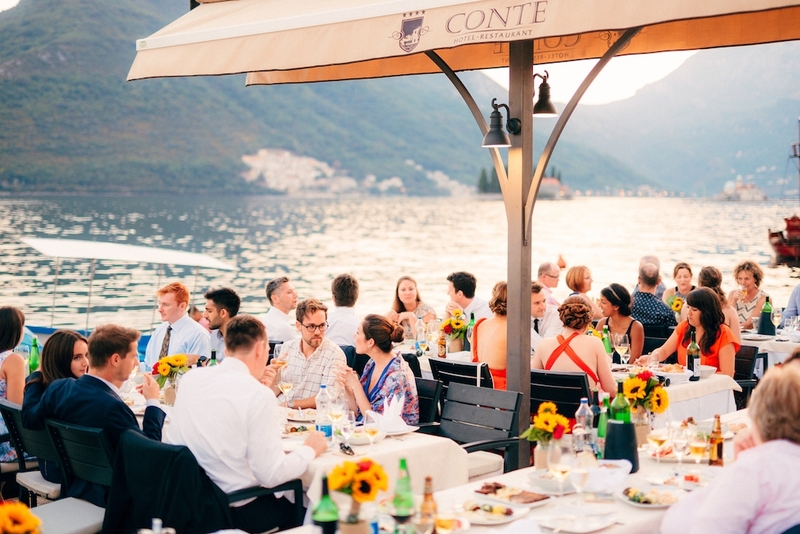 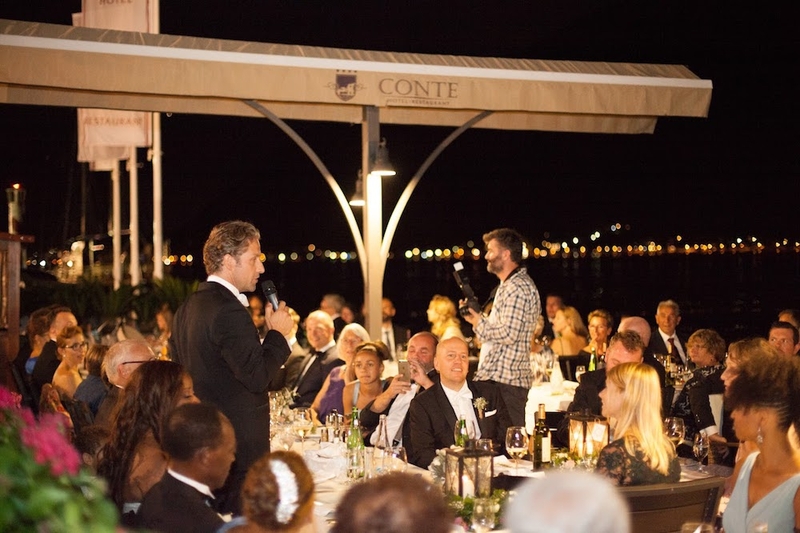 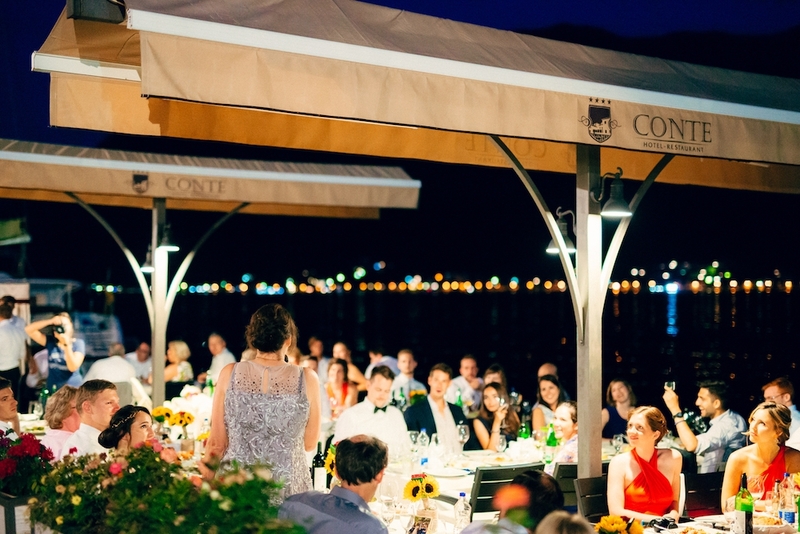 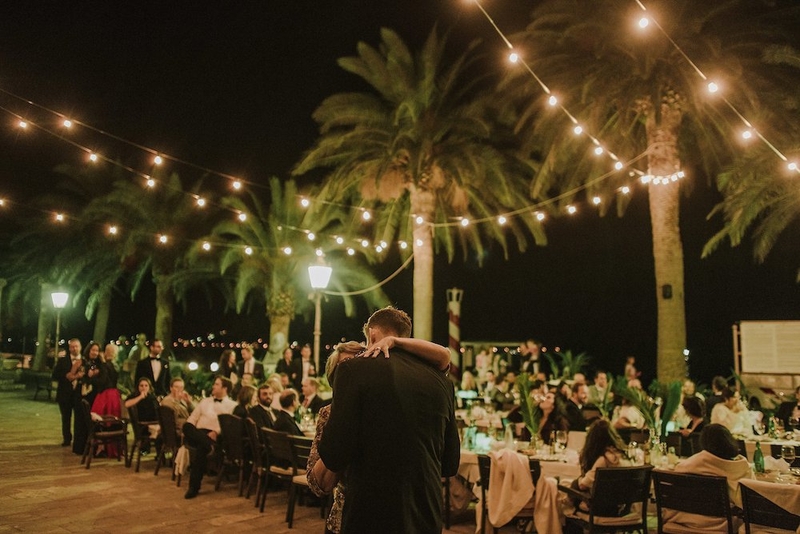 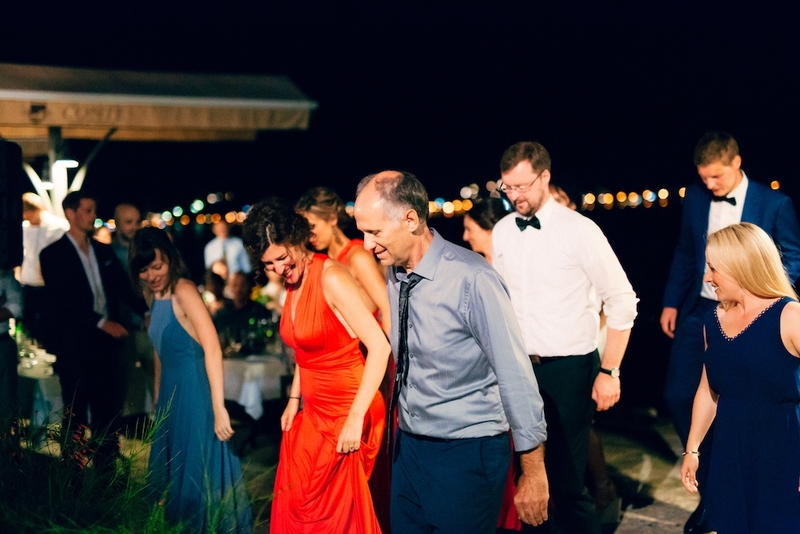 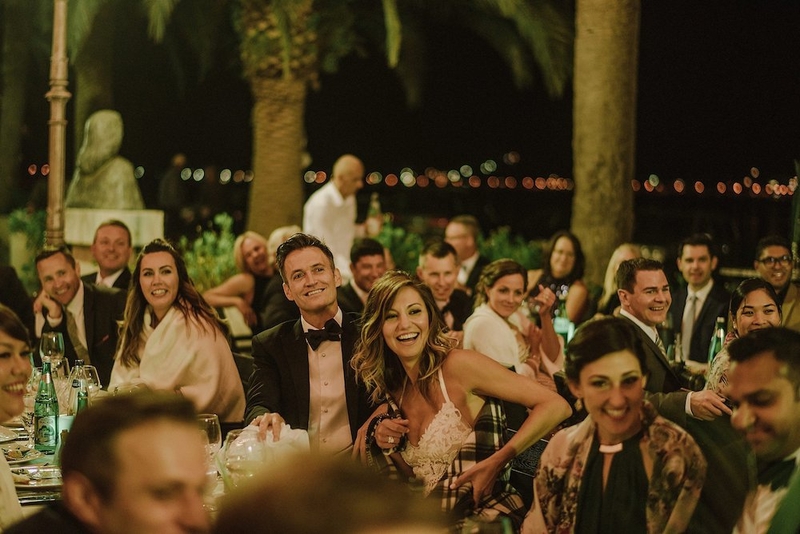 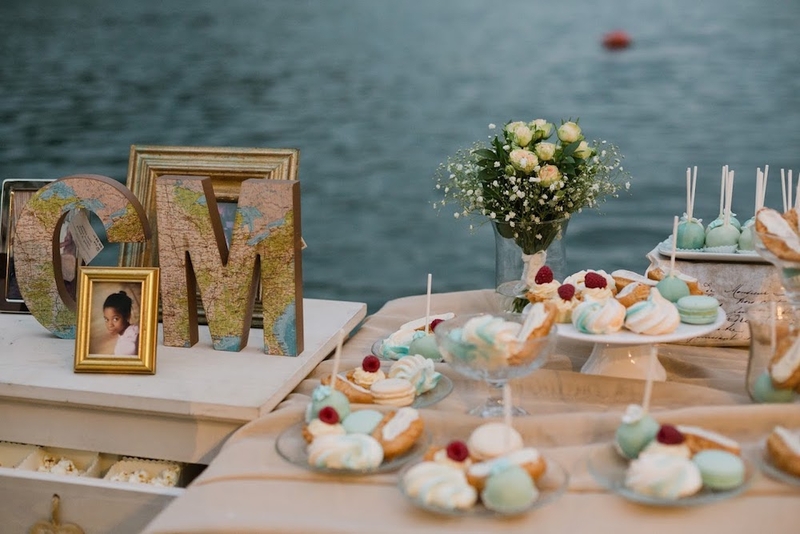 Whether you are looking for a waterfront terrace, a terrace in the old town square or authentically decorated indoor hall, Hotel & Restaurant Conte is the right choice for you. 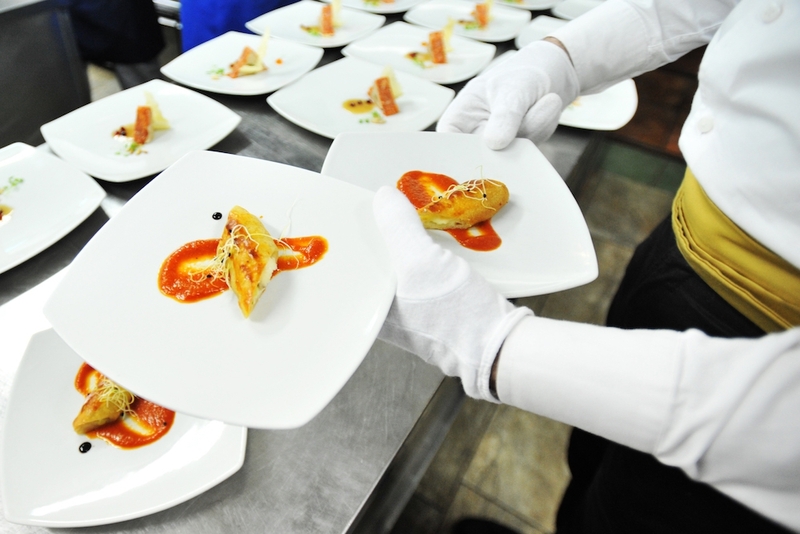 The success of your company depends on dedication, creativity and desire to excel of you and your employees. 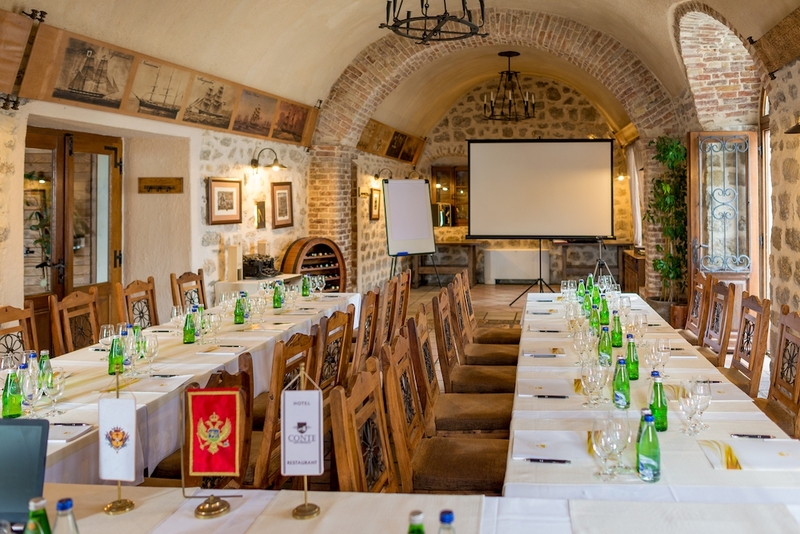 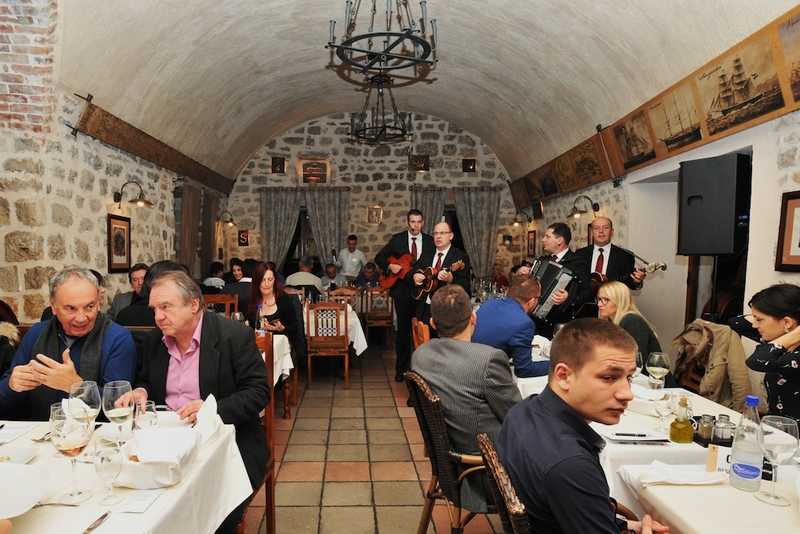 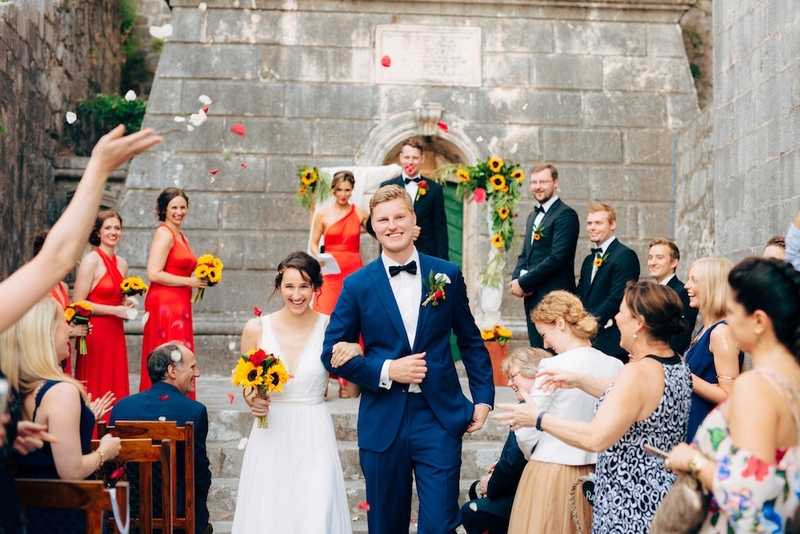 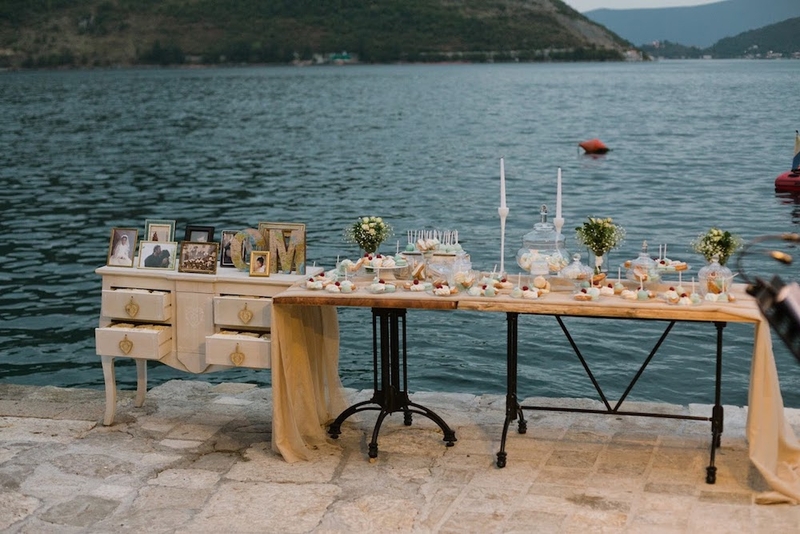 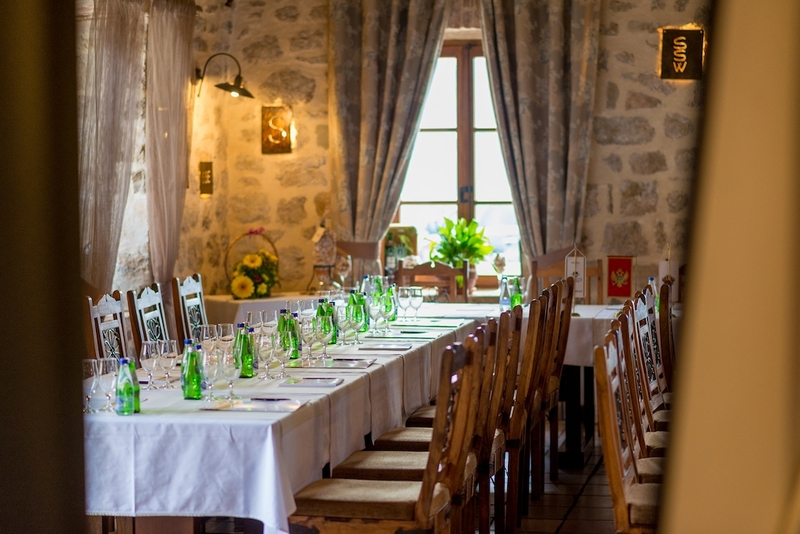 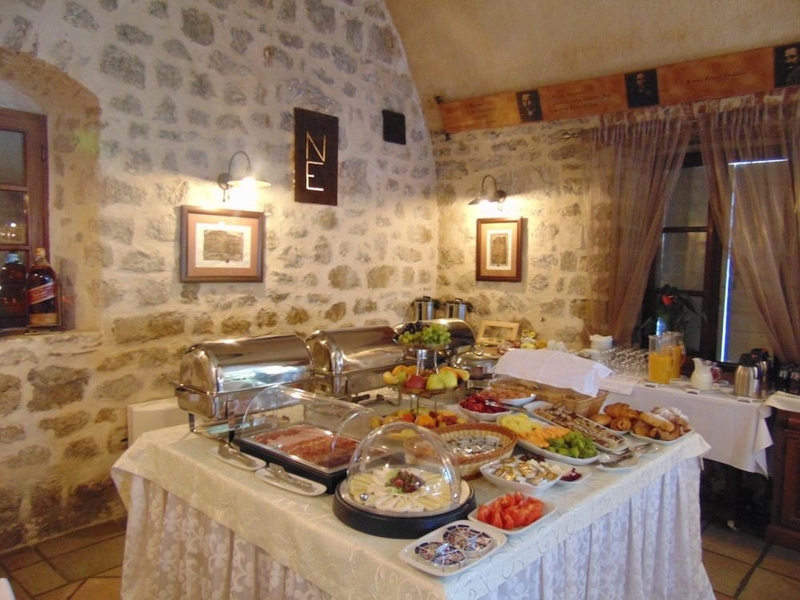 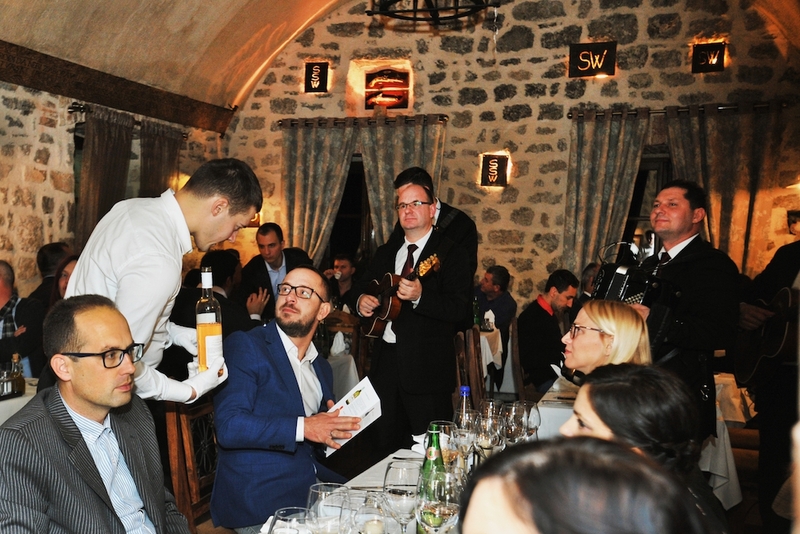 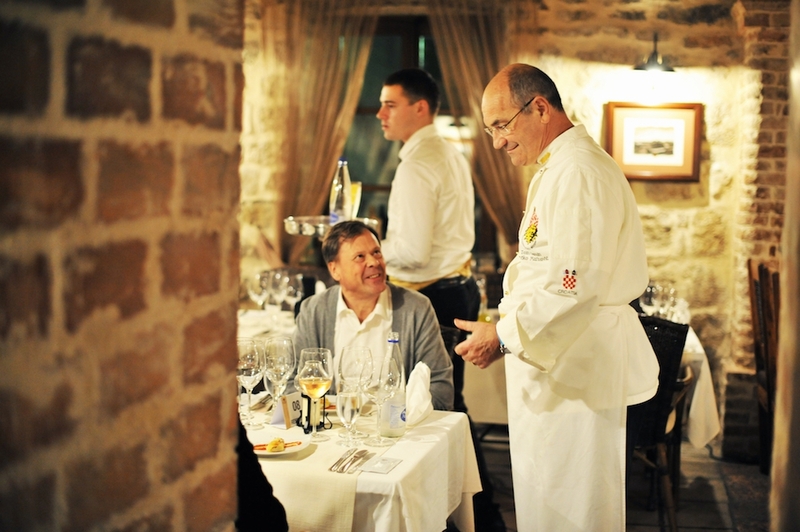 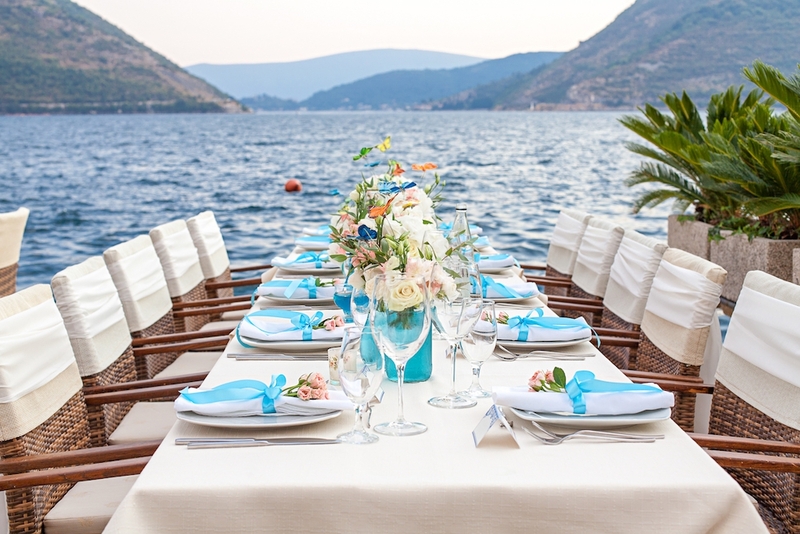 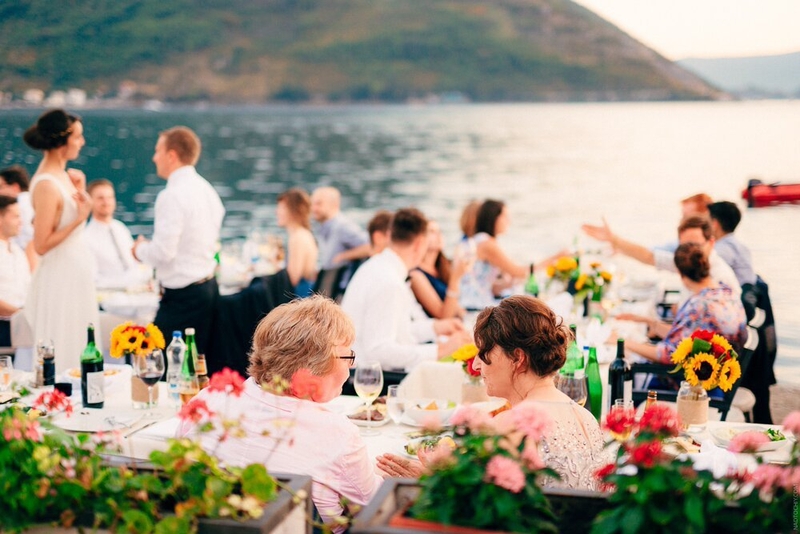 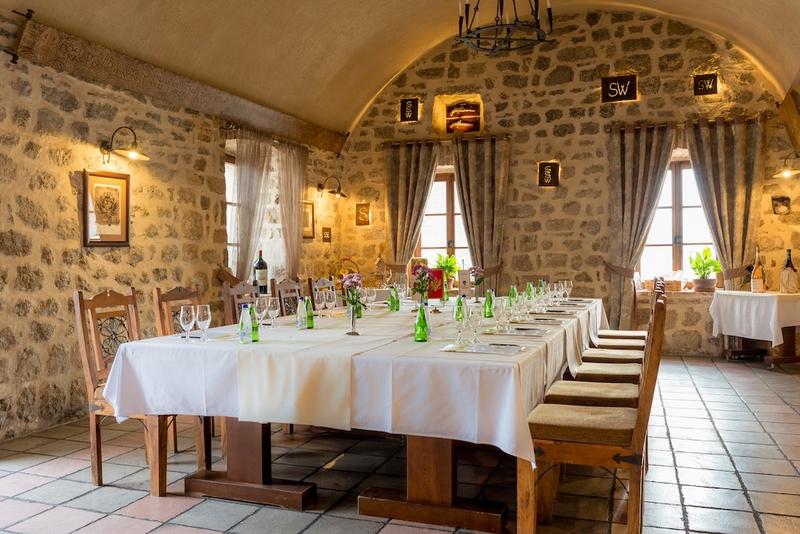 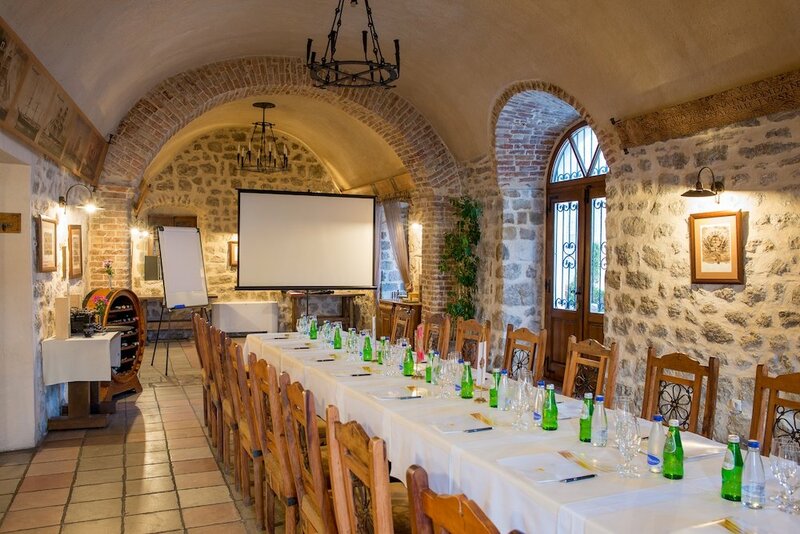 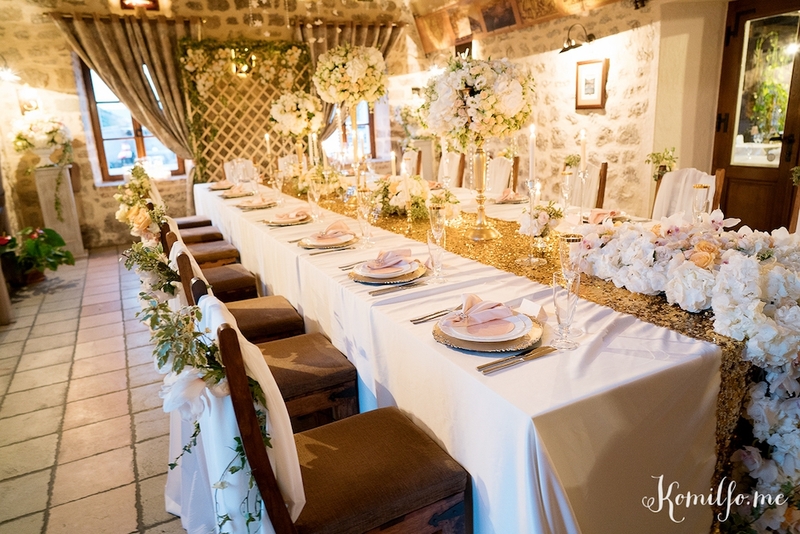 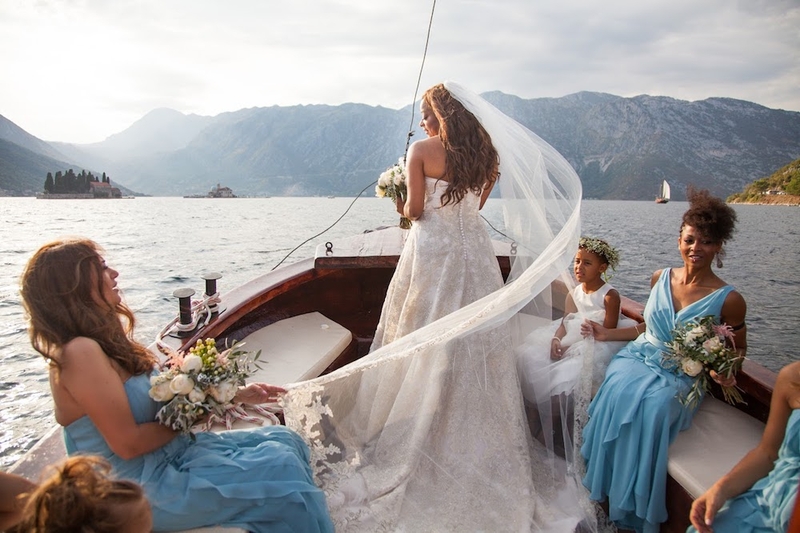 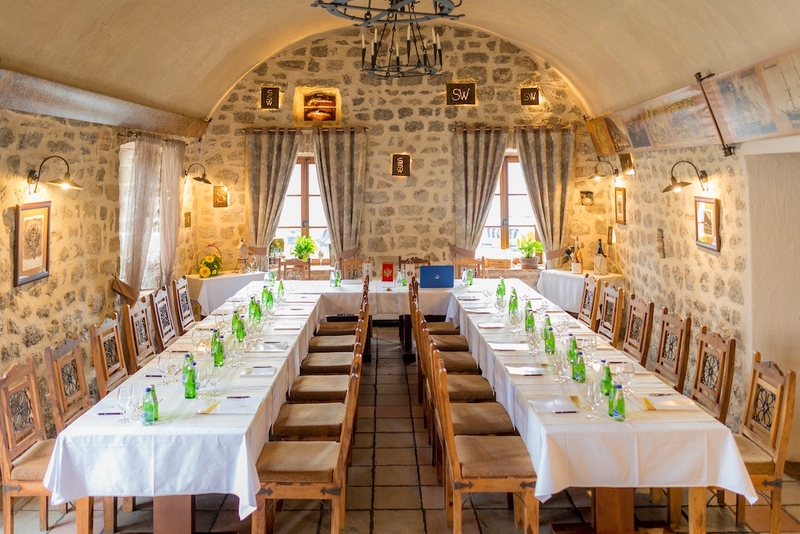 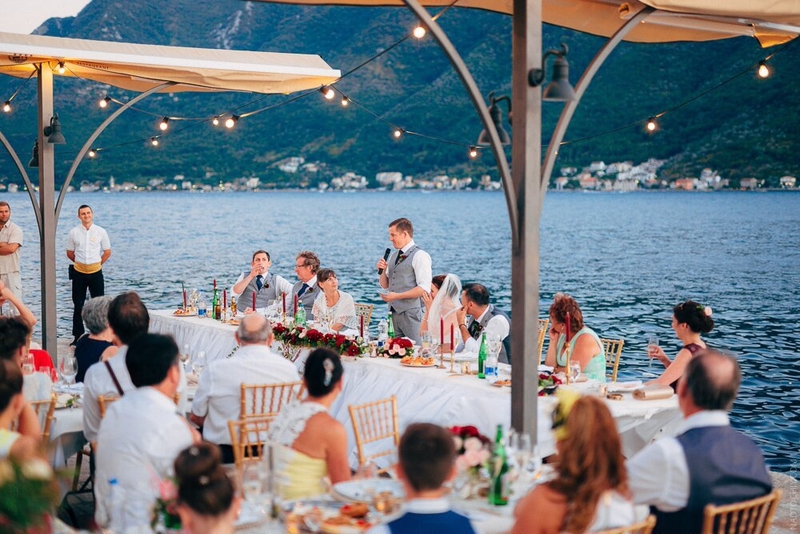 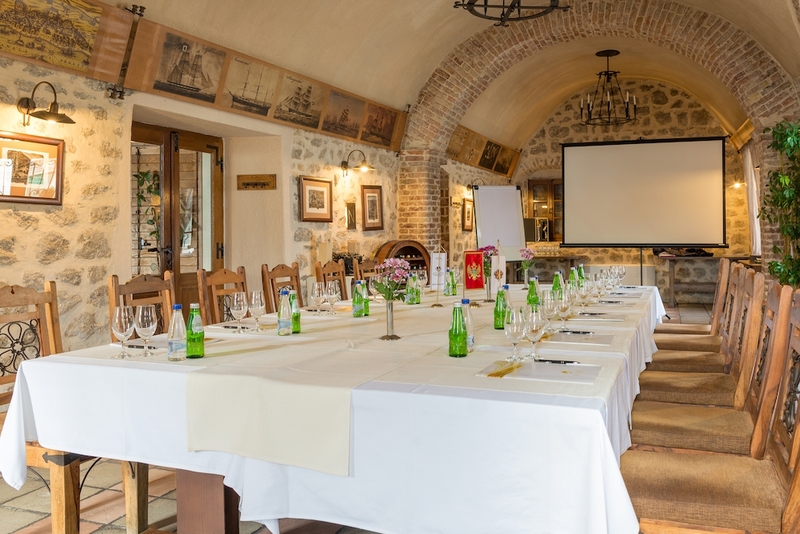 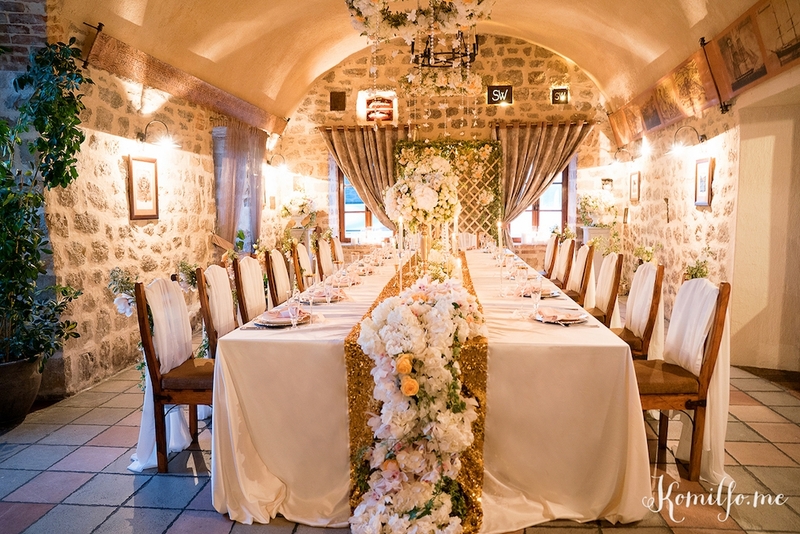 Organise your business event in a different ambience, in a meeting room arranged in accordance with the rich baroque past of Perast. 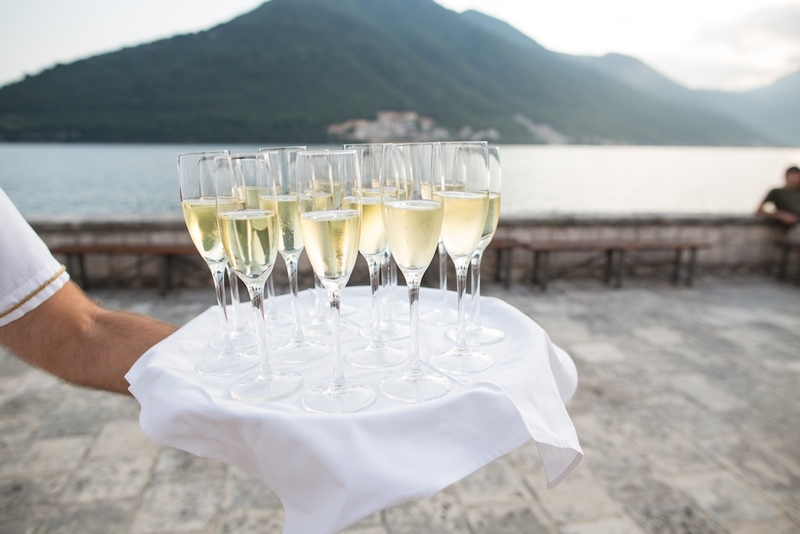 Treat your employees with an event that will be expected with the greatest impatience and remembered for a long time! 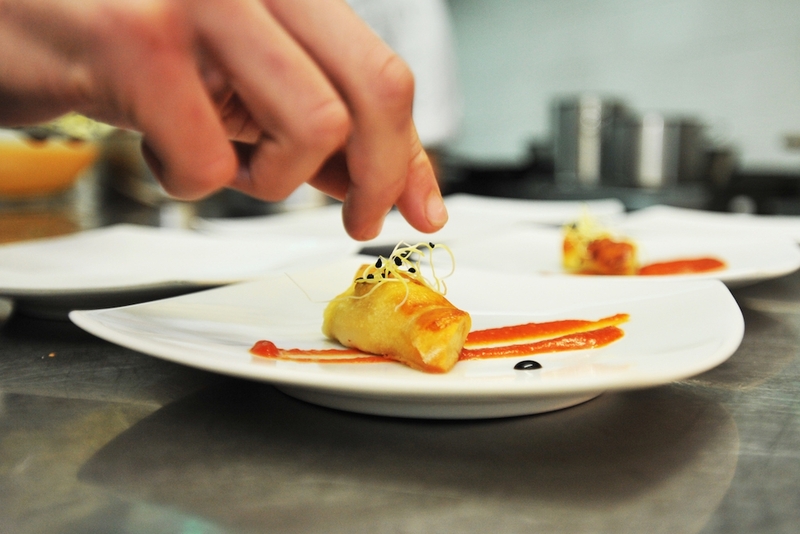 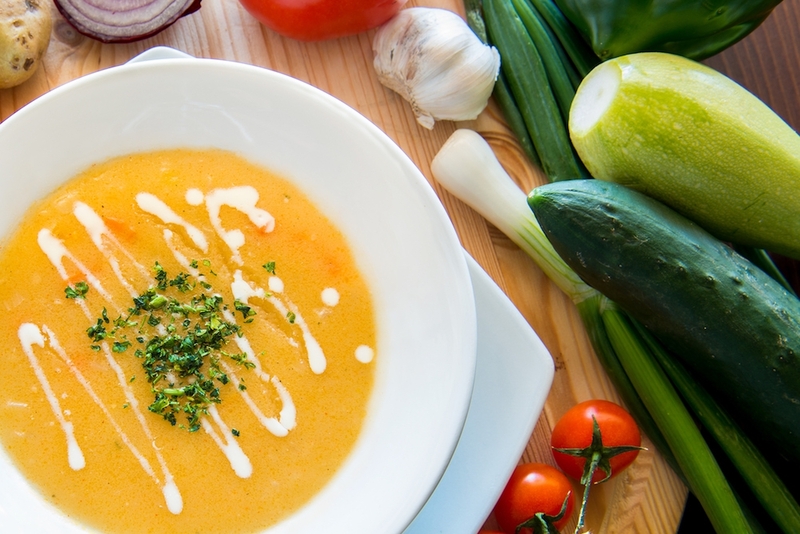 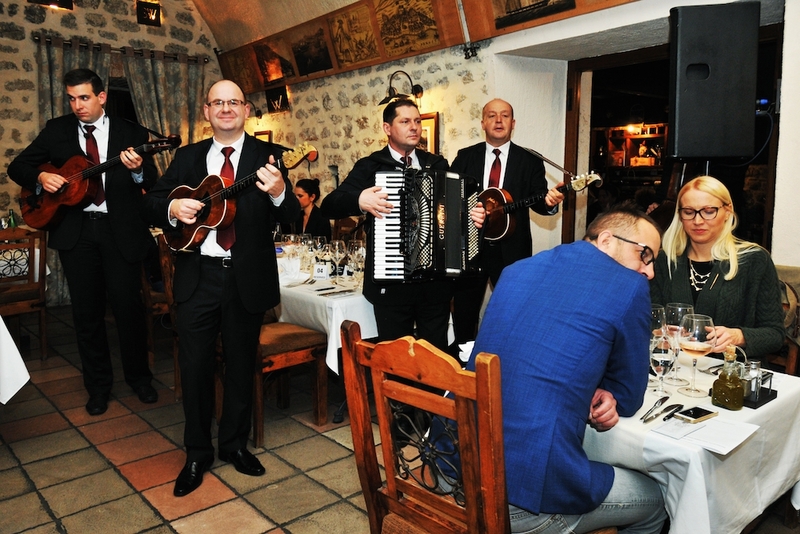 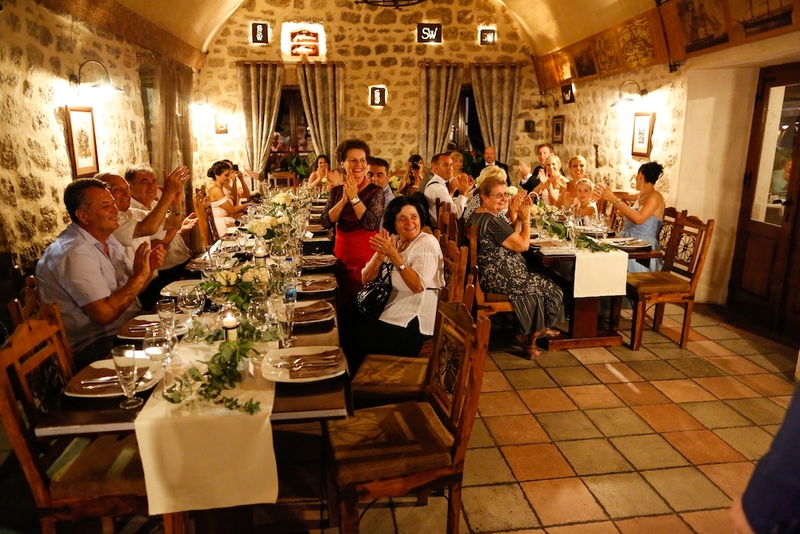 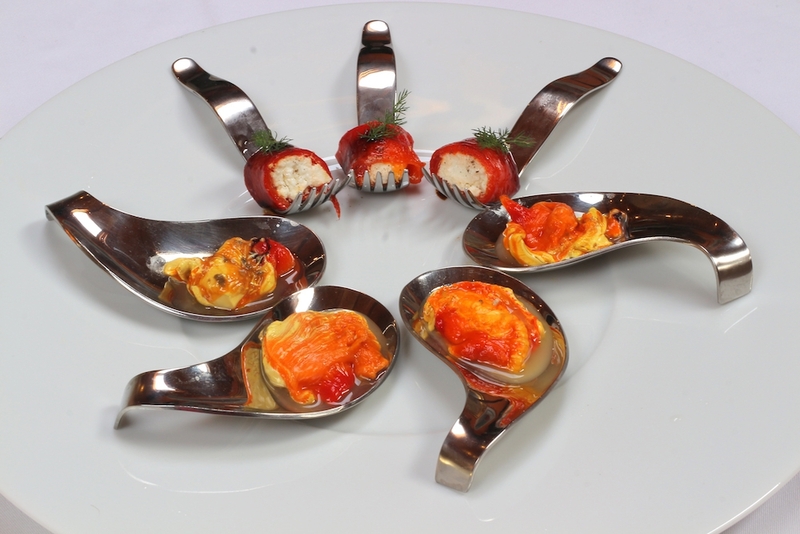 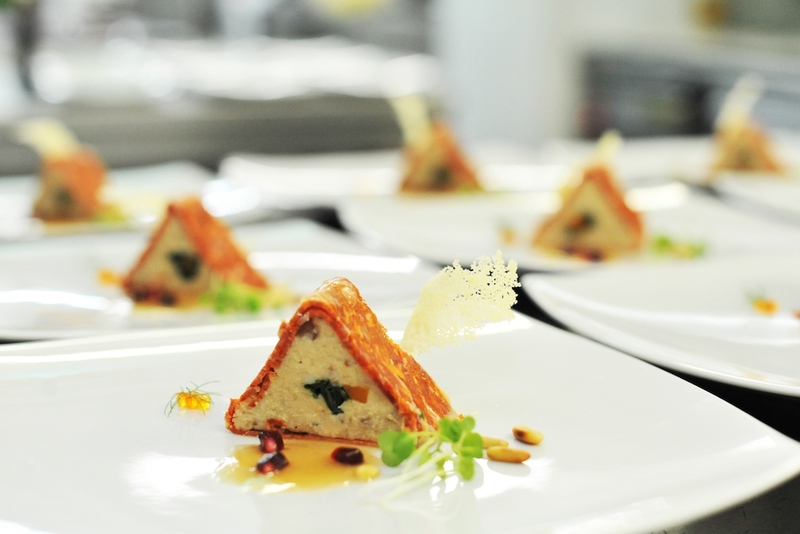 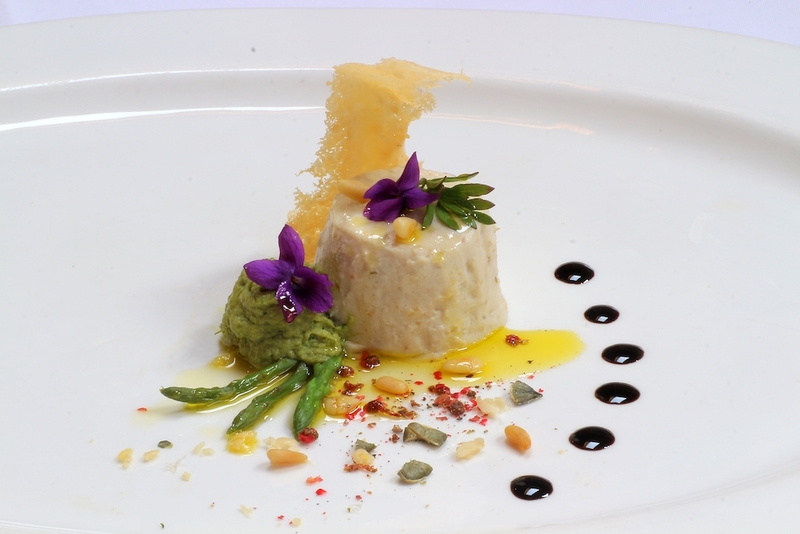 The gastronomic pleasure of a seven-course meal combined with seven types of wine with live music and an atmosphere that inspires is the right choice for your business celebration! 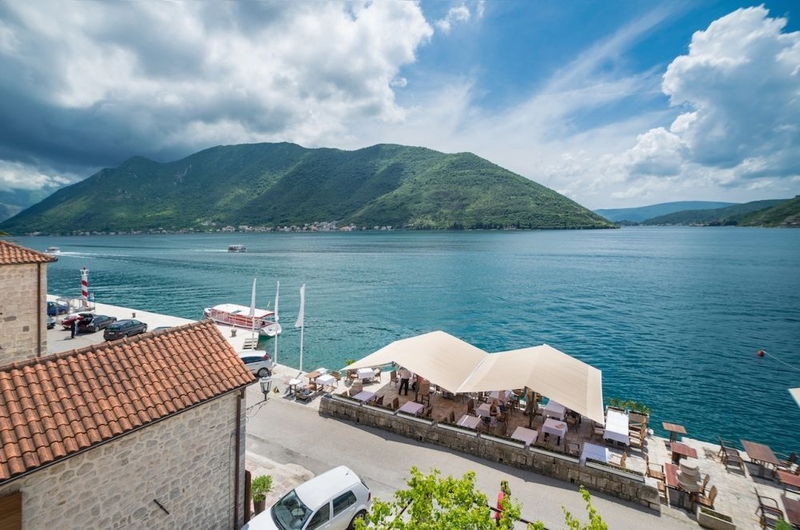 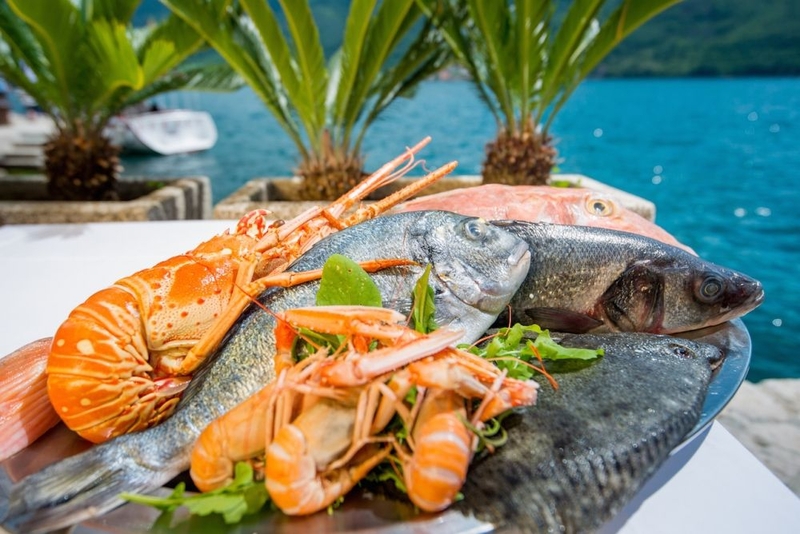 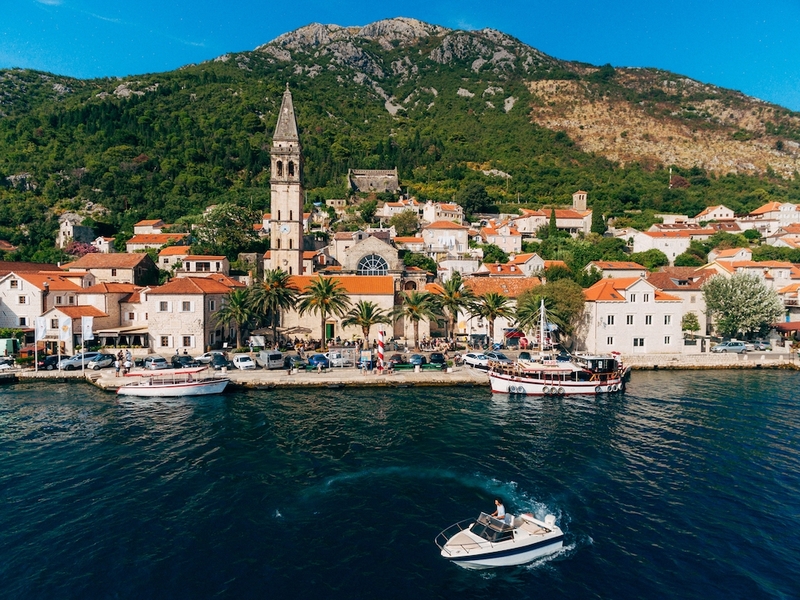 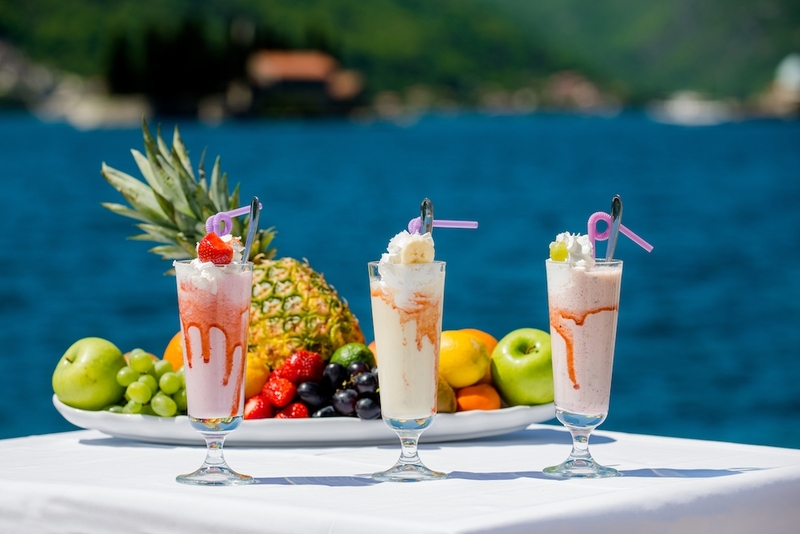 To make your stay more enjoyable, Conte has selected the best inland and sea day trips that will allow you to discover the most popular attractions of Montenegro. 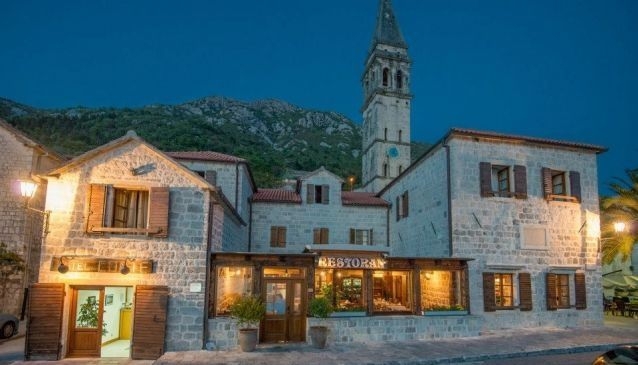 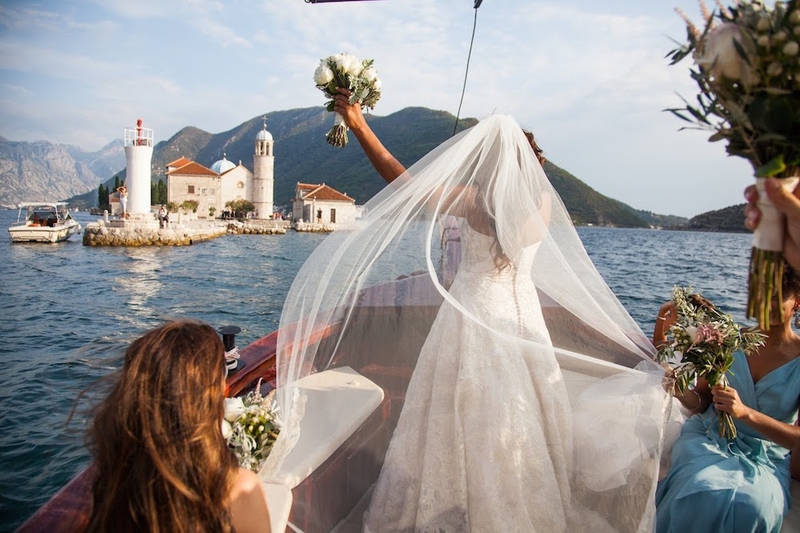 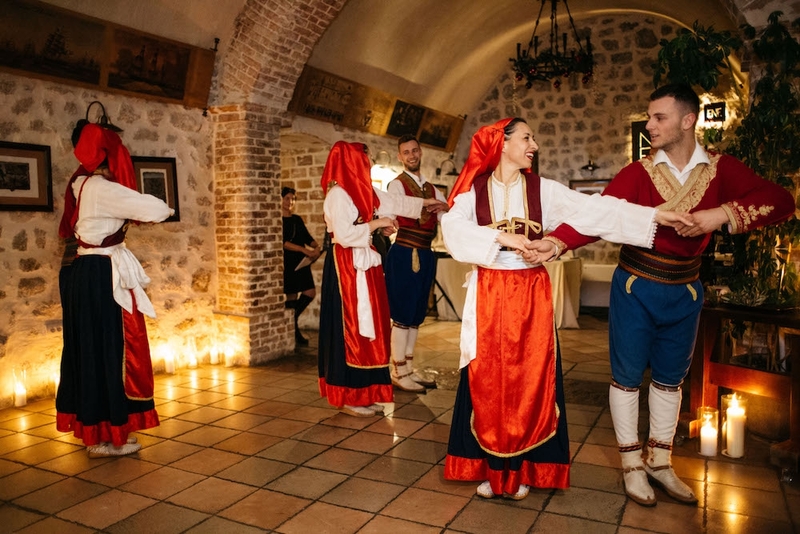 Let us be your guide in exploring UNESCO protected old towns, beautiful islands, caves and beaches, breathtaking national parks in the central and northern Montenegro, wine tasting in family-owned wineries, spiritual points and holy places of Montenegro. 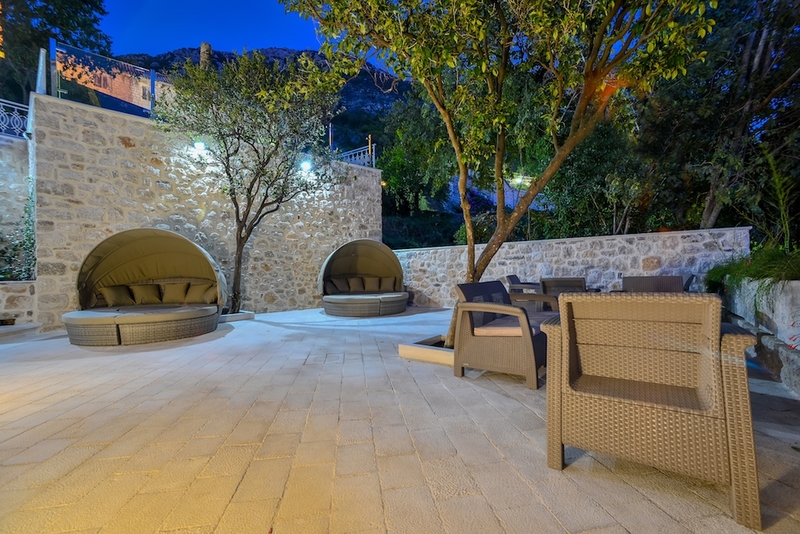 Please contact the reception for more information.